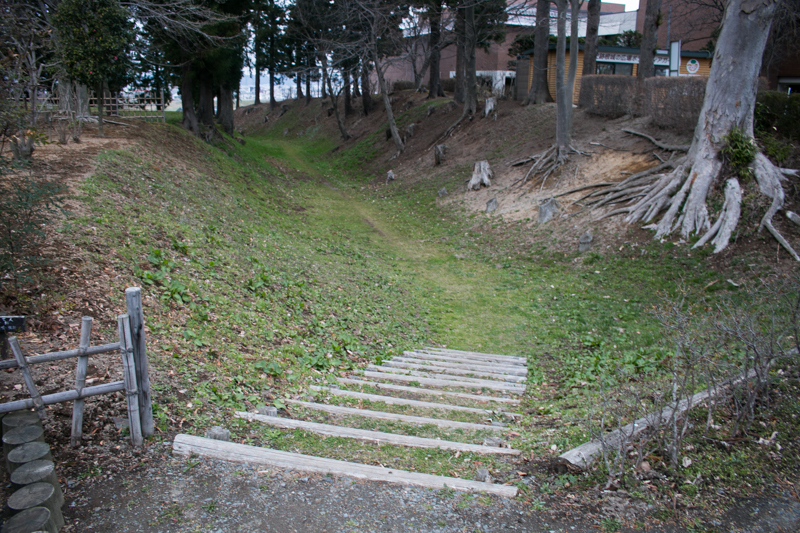 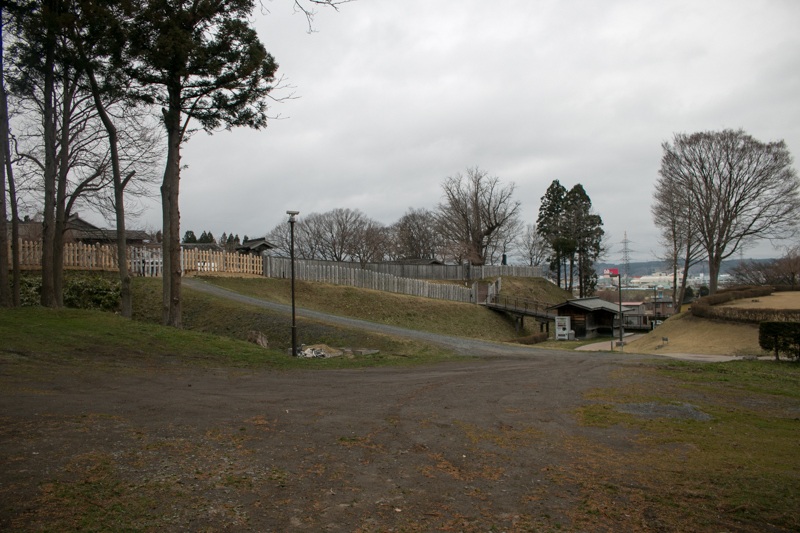 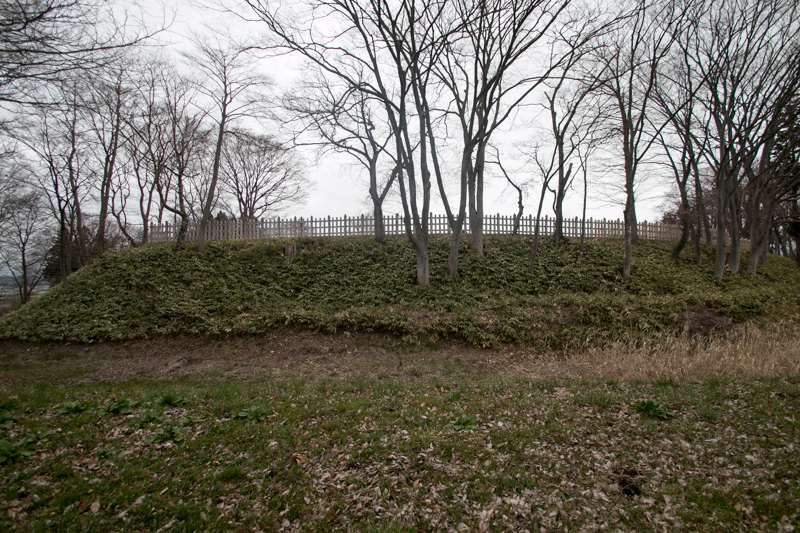 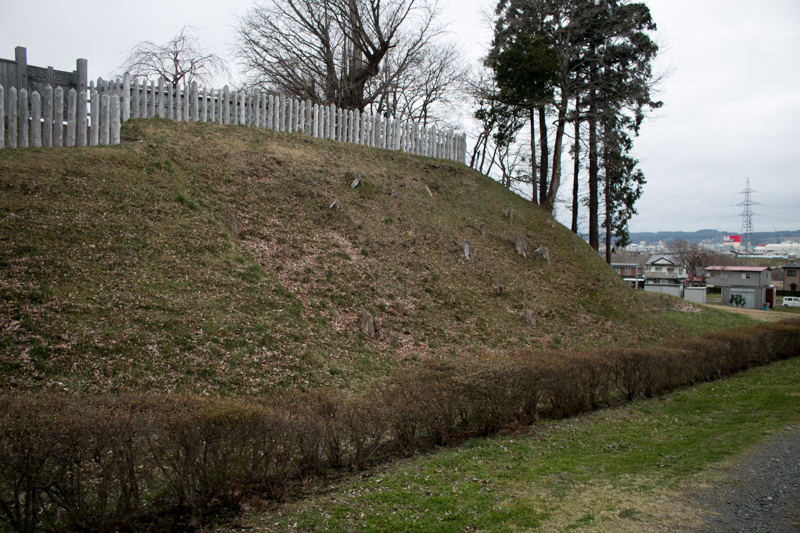 Nejo castle (根城) is located over the river terrace near the mouth of Mabuchigawa river in Hachinohe city. 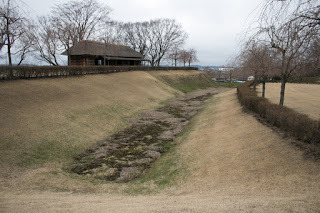 Mabuchigawa river is a one which flows north part of Iwate prefecture toward northeast to the pacific ocean, and an entrance of east half of current Aomori prefecture. 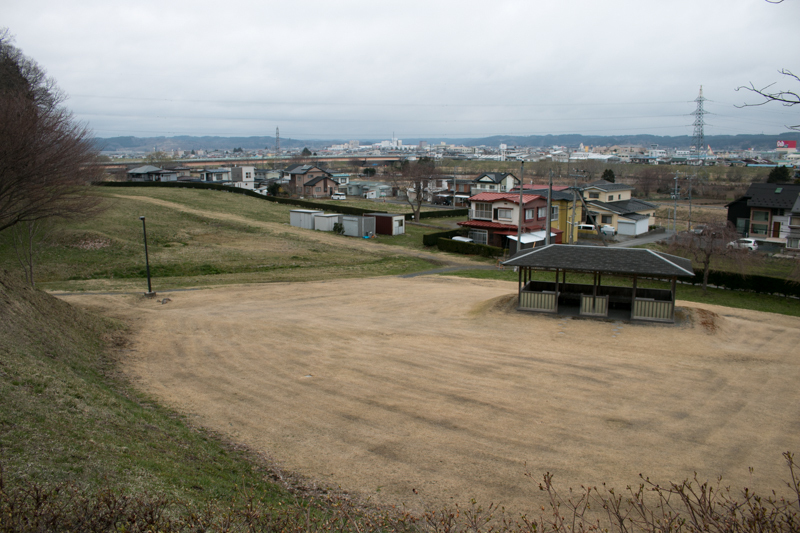 Utilizing its geographical condition Hachinohe city is still an important place of communication with many roads and trains, and also prospers as a port city. 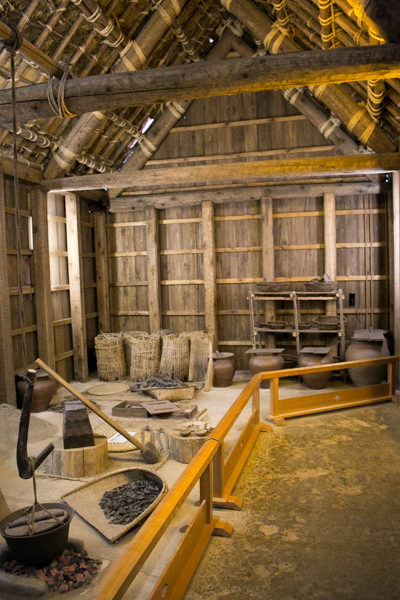 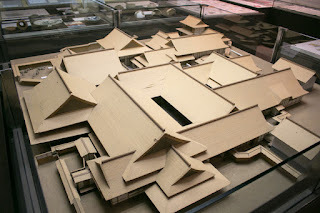 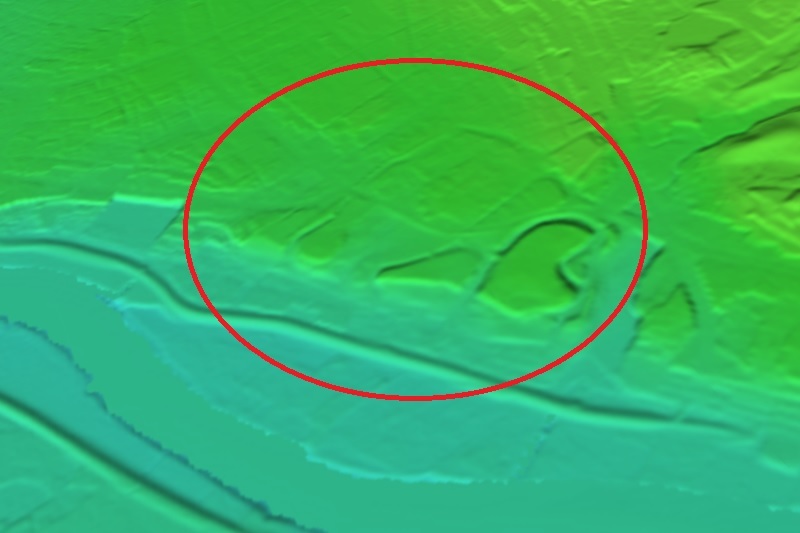 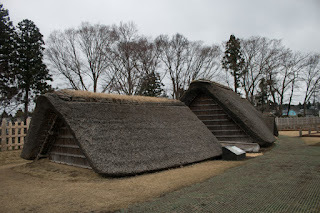 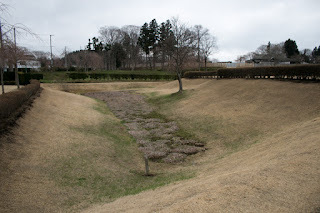 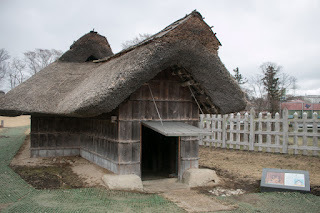 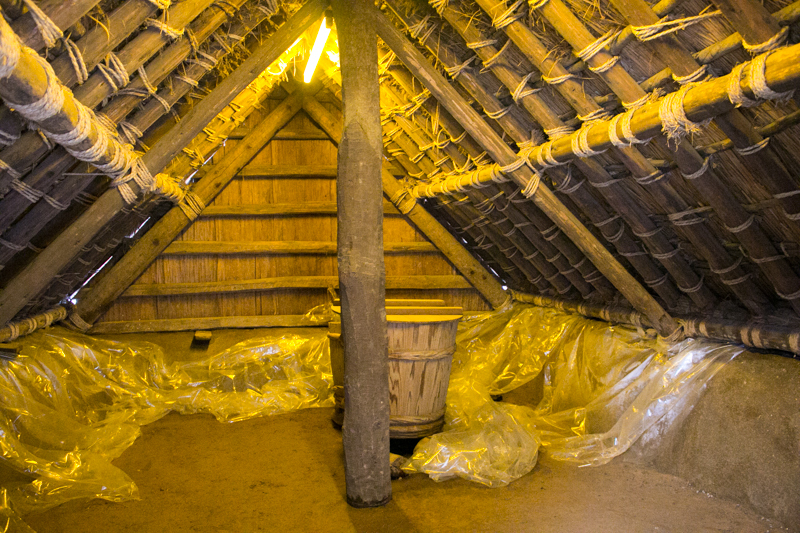 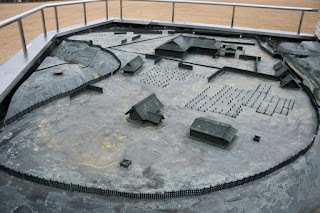 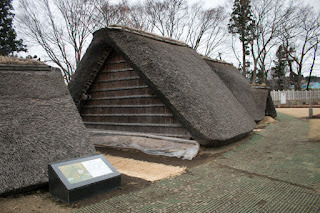 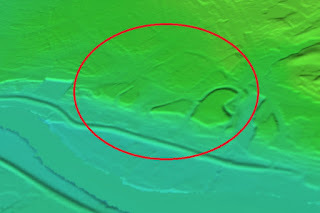 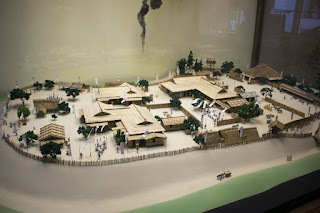 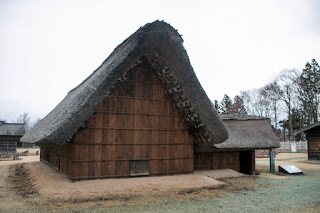 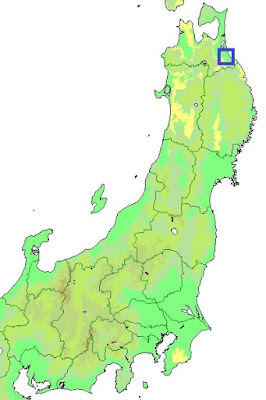 About 3,000 years ago, at the time of Jyomon period which is almost equivalent to the Neolithic age, being supported by plentiful marine and forest resources, north part of current Tohoku region is one of the most prosperous area of Japan and there were large ruins such as Sannai Maruyama ruins or Kamegaoka ruins. But when rice cultivation was brought into Japan around 1th century, as north part of Tohoku region was not suitable for the rice cultivation at that time, and there not rose strong authority such as other part of Japan. 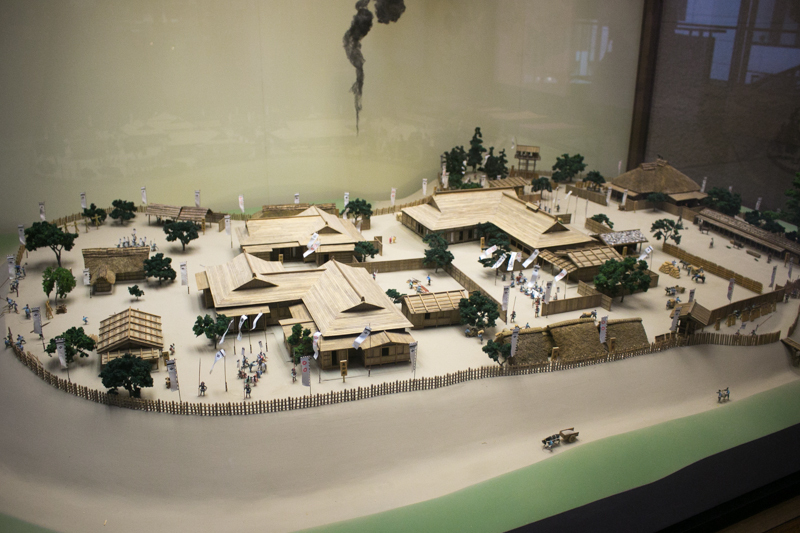 After 7th century, Yamato dynasty continuously expand their authority toward this region, after harsh battles, Tohoku region was finally managed by central authority by around 10th century. At first Abe clan was the governor of this region, but in 11th century Oshu Fujiwara clan beat Abe clan and became the ruler of Tohoku region, until its fall by Kamakura Shogunate in 1189. 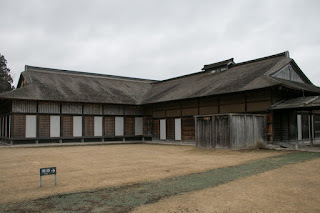 After the fall of Oshu Fujiwara clan, Yoritomo Minamoto (1147-1199), the founder of Kamakura Shogunate, gave north part of Tohoku region to their retainers. 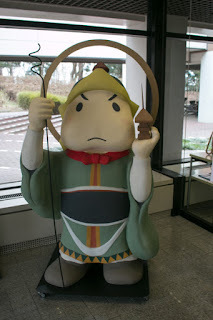 Among such retainers, there was Nanbu clan which grew into a strong warlord. Nanbu clan was originally a branch family of Minamoto clan stem from Yoshimitsu Minamoto (1045-1127). 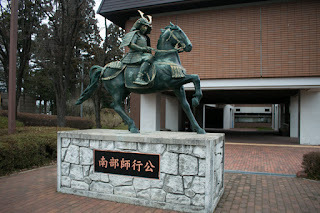 In 12th century Yoshikiyo Minamoto (1075-1149) came to Kai province (Yamanashi prefecture) and named as Takeda clan, which later became the governor of Kai province and is known for famous warlord in 16th century Shingen Takeda (1521-1573). 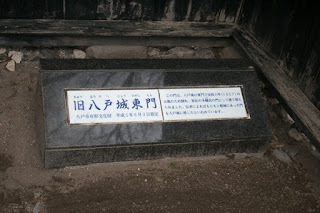 Later Toomitsu Kagami (1143-1230), the grandson of Yoshikiyo, held the west edge of current Kofu basin, and his son Mitsuyuki Nanbu (1165-1236) was Nanbu area along Fuji river by his loyalty for Yoritomo Minamoto and Nanbu clan started. 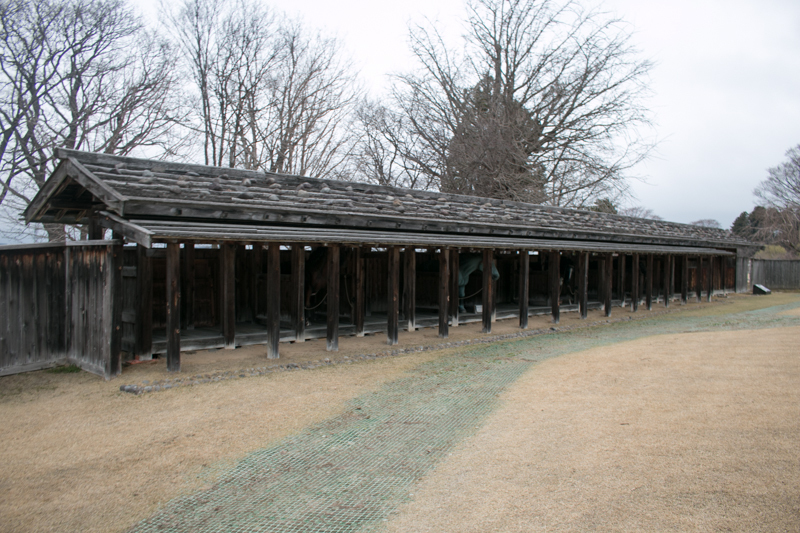 Nanbu area is a historical horse breeding area, and this fact strongly affected the character of Nanbu clan. 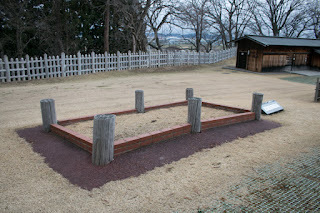 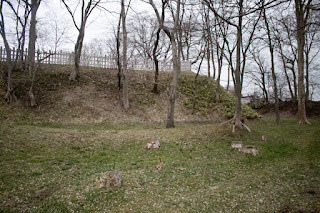 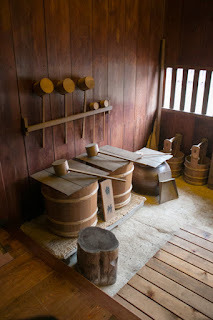 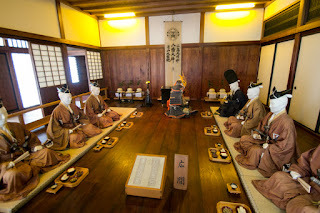 Each son of Mitsuyuki became the descendant of Nejo family which later built Nejyo castle, Sannohe family later became the mainstream of Nanbu clan or Kunohe clan. 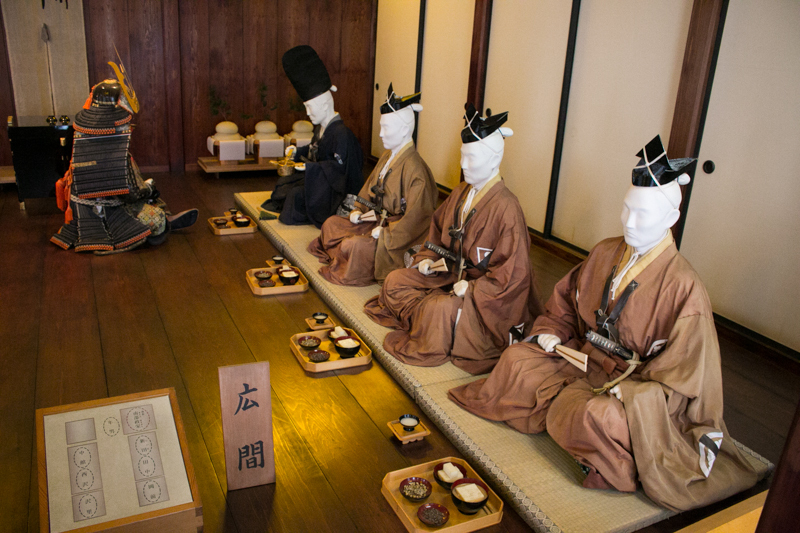 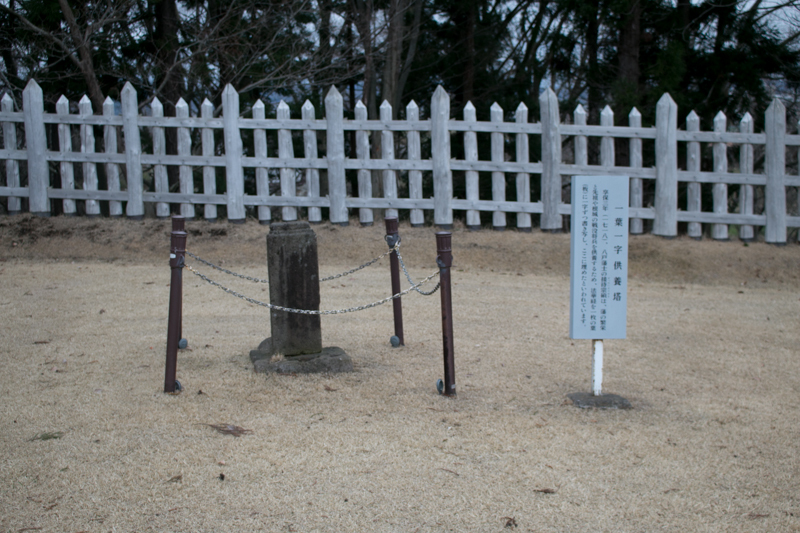 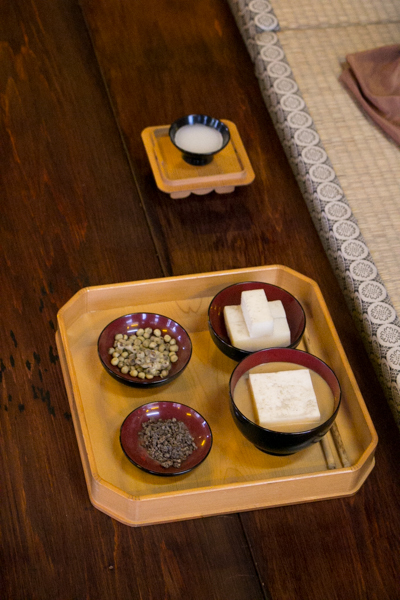 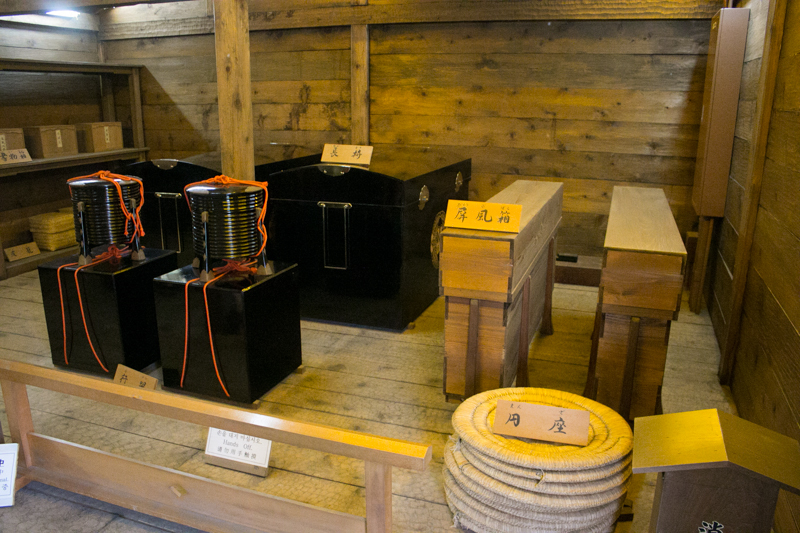 Throughout Kamakura era, Nanbu clan served for Kamakura Shogunate as a retainer. 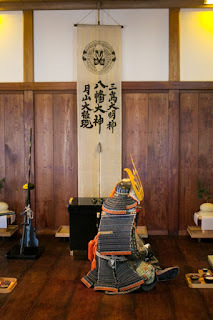 It is said that Nanbu clan got the territory just after the fall of Oshu Fujiwara clan, but it is dubious if this story is true, and current Hachinohe area might be directly governed by Hojyo clan, a regent of Shogunate. At the fall of Kamakura Shogunate in 1333, Moroyuki Nanbu (?-1338), leader of Nejo Nanbu clan, participated in anti-Shogunate army and activated at the siege of Kamakura city. 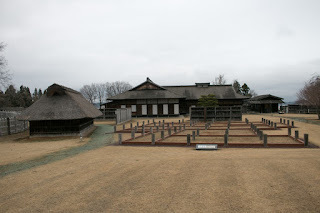 After the fall of Kamakura Shogunate in 1333, new government of Emperor Godaigo (1288-1339) appointed prince Norinaga (1328-1668, later Emperor Gomurakami) and Akiie Kitabatake (1318-1338) as a general commander of Tohoku region and sent them to Tagajyo castle in current Miyagi prefecture. Moroyuki Nanbu accompanied them and was appointed as a governor of Nukanobu county, a vast area of Pacific Ocean coast including Hachinohe area. 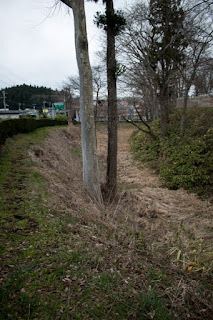 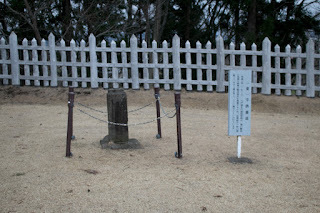 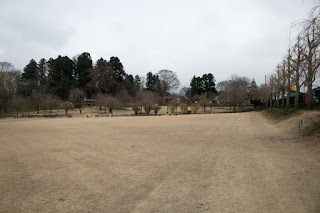 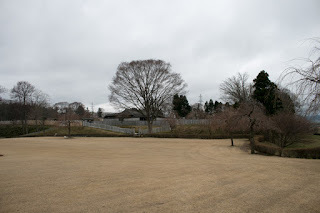 As this area was formerly the territory of Kamakura Shogunate there were several resistance of former Kamakura Shogunate retainers, but Moroyuki suppressed these revolts and strengthened his dominance. 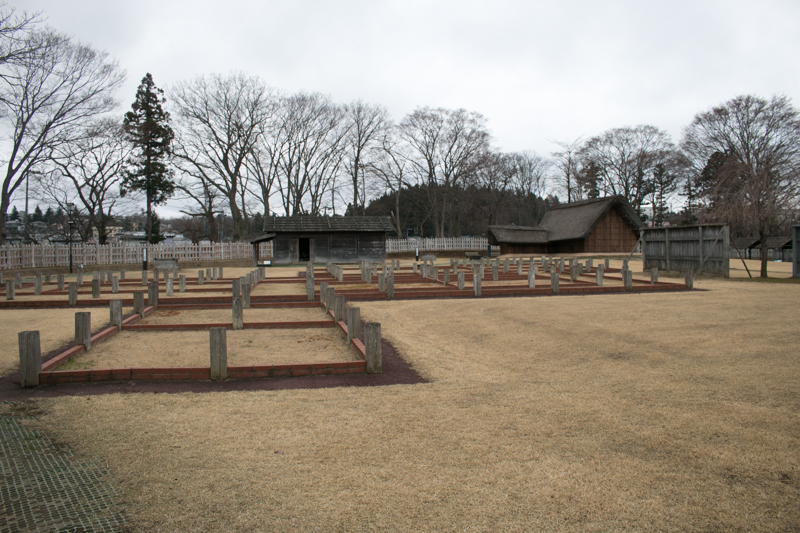 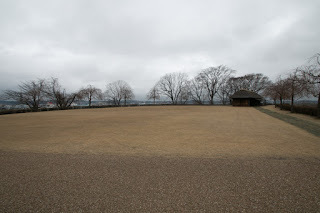 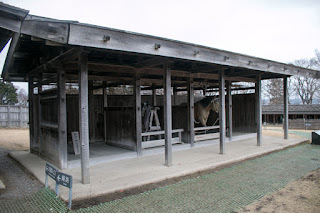 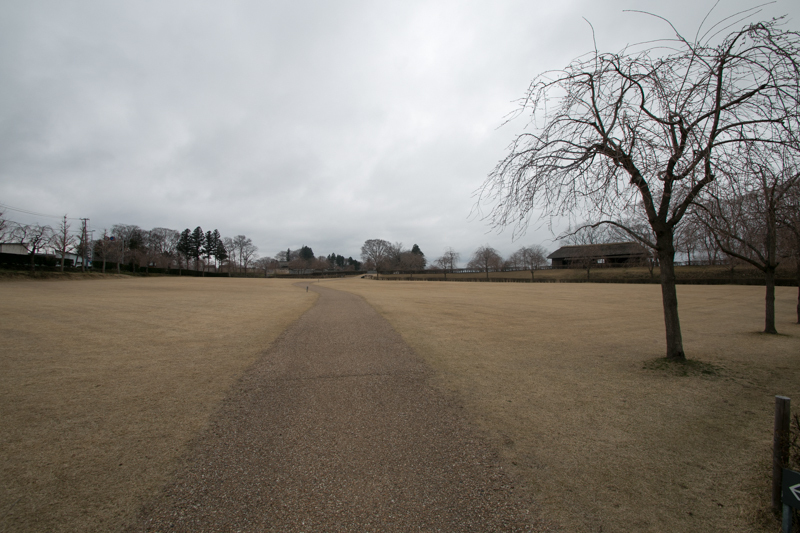 Based on its origin Nanbu clan might be engaged in breeding military horses here, and these cavalry supported long expedition of Akiie Kitabatake later. 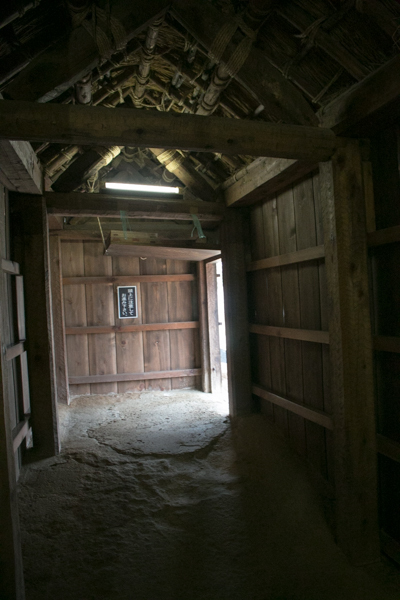 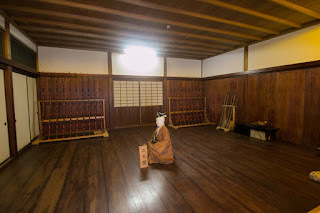 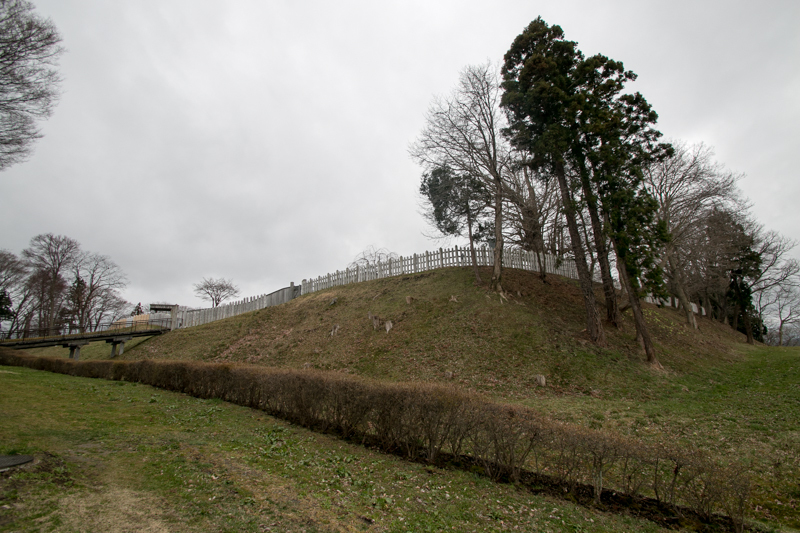 It is said that Moroyuki built Nejo castle as his residence in 1334. 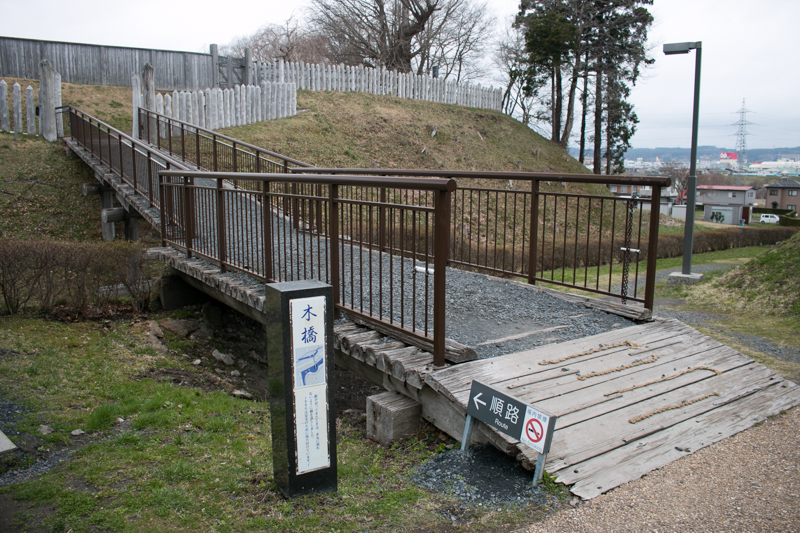 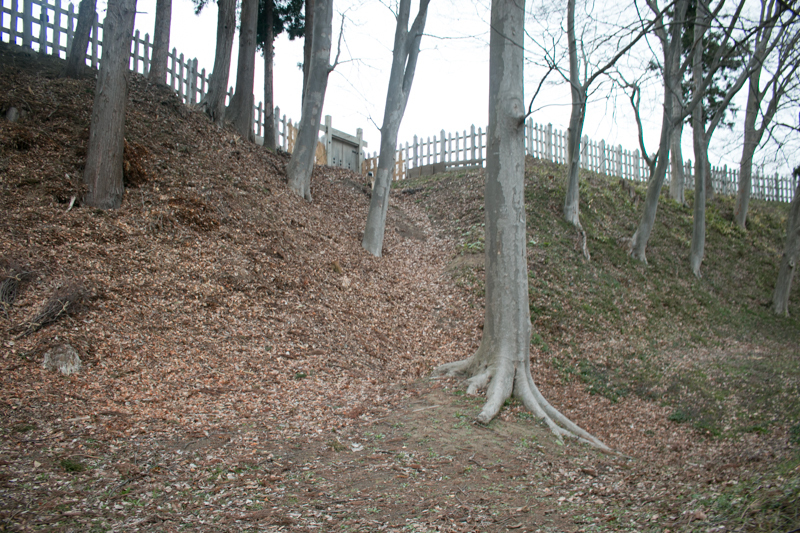 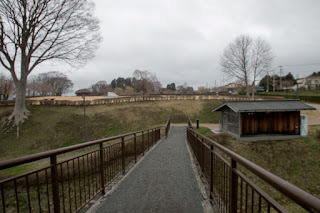 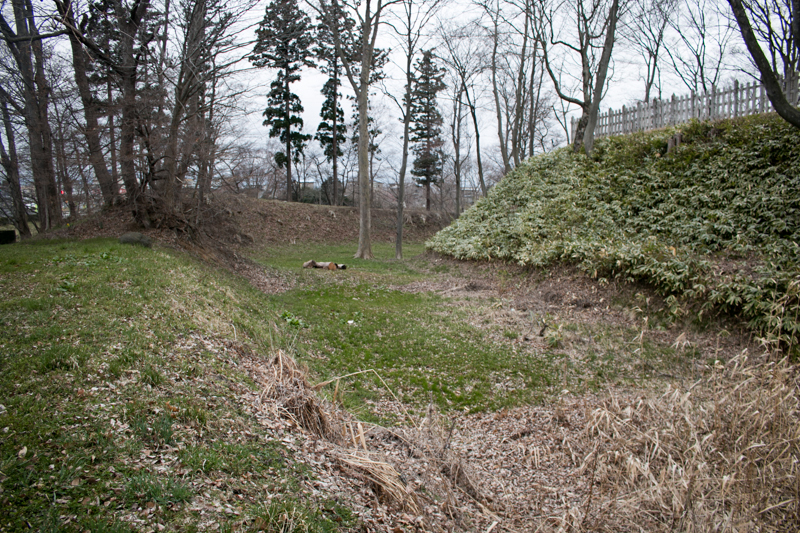 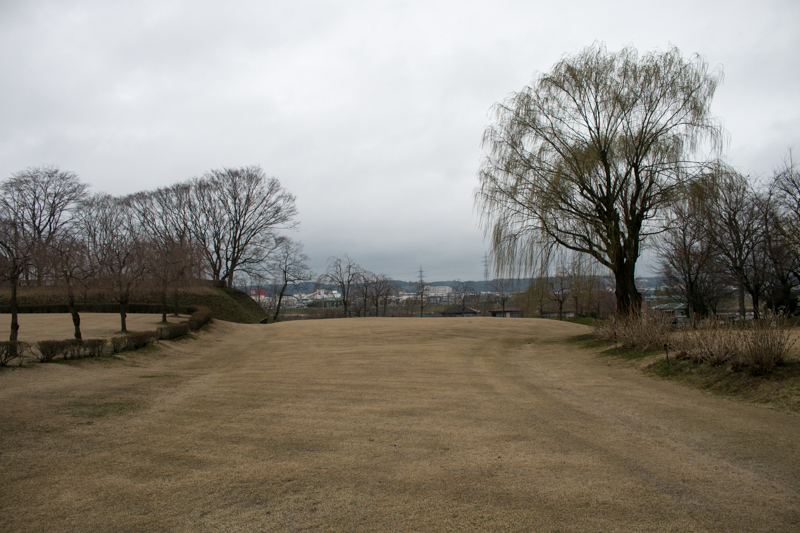 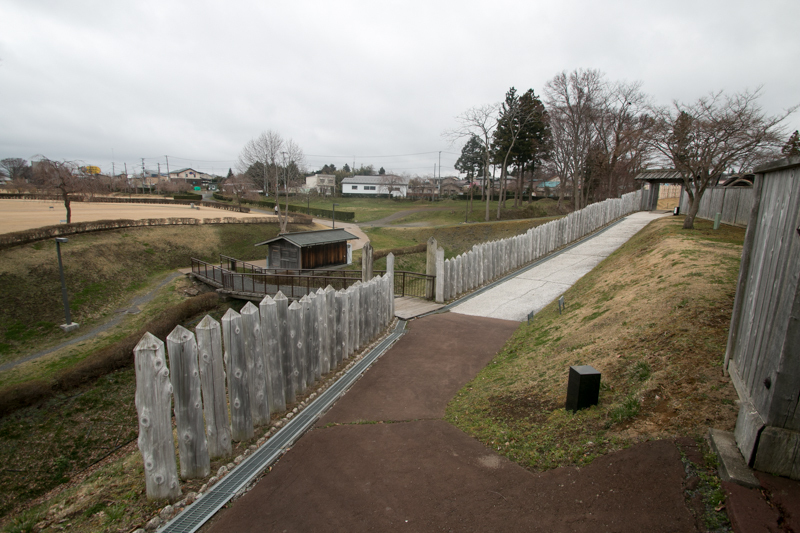 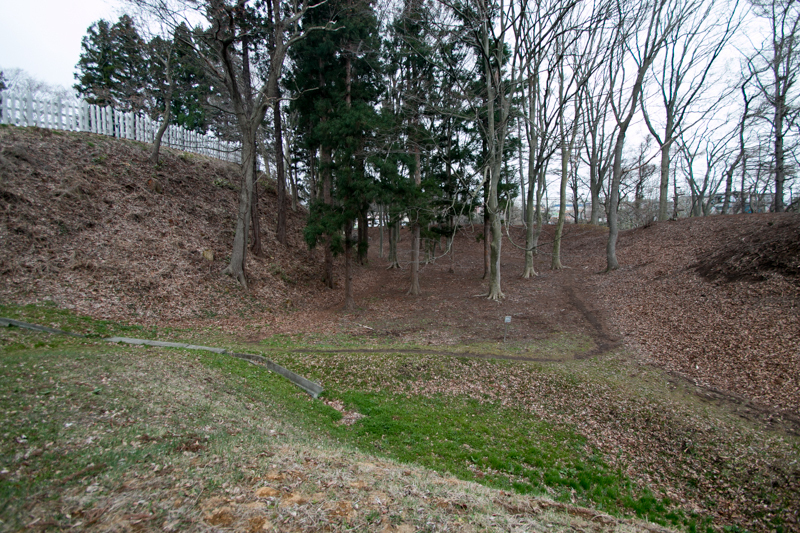 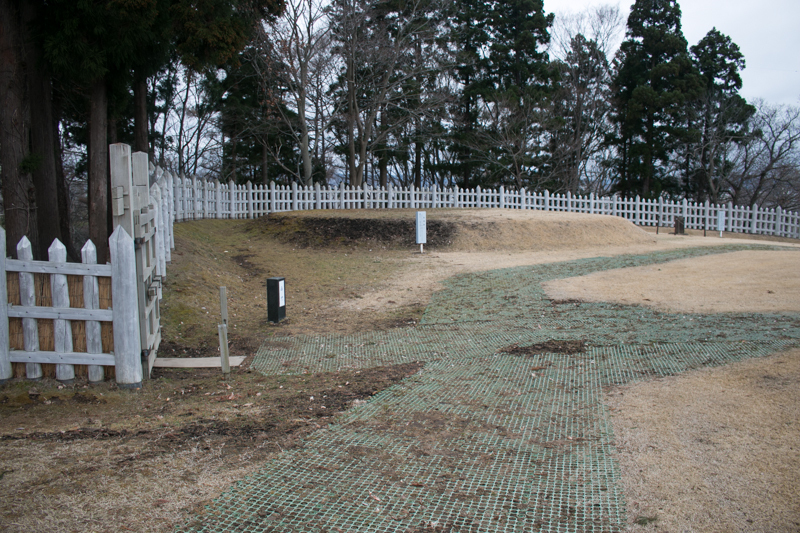 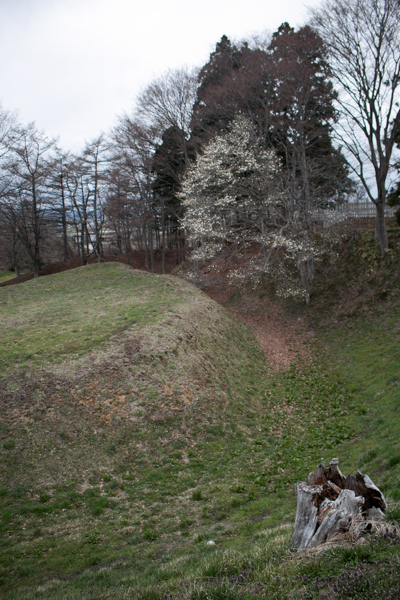 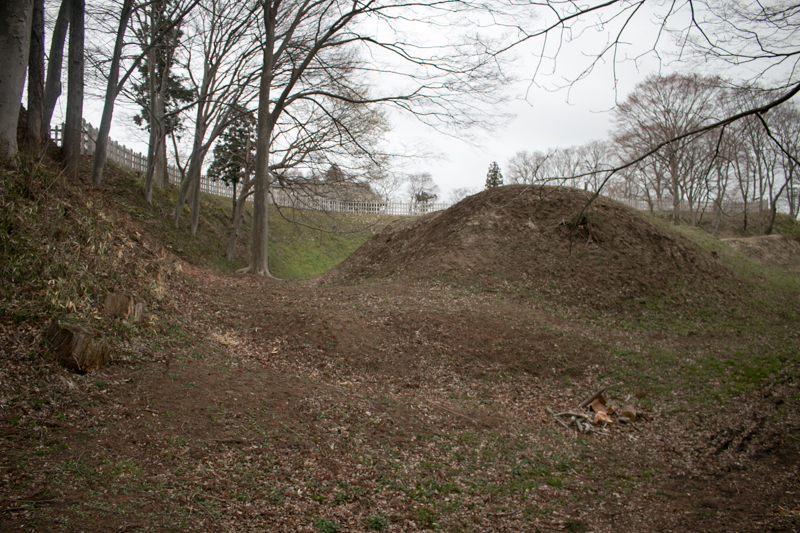 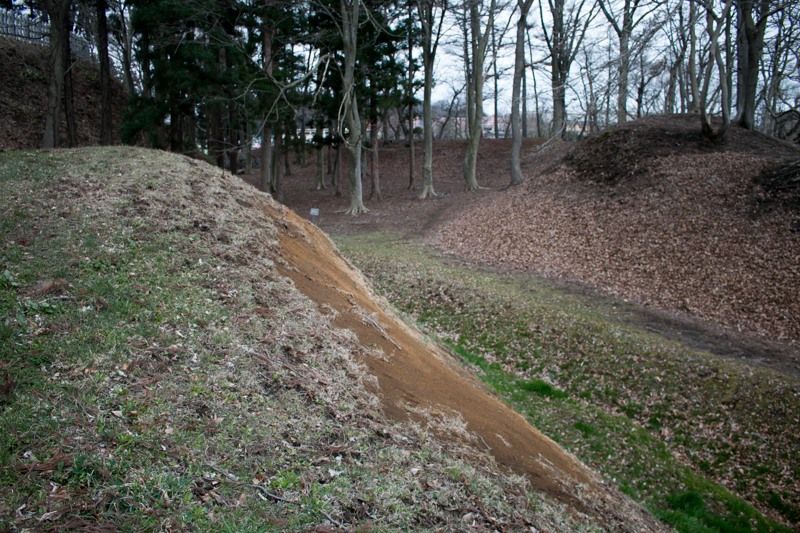 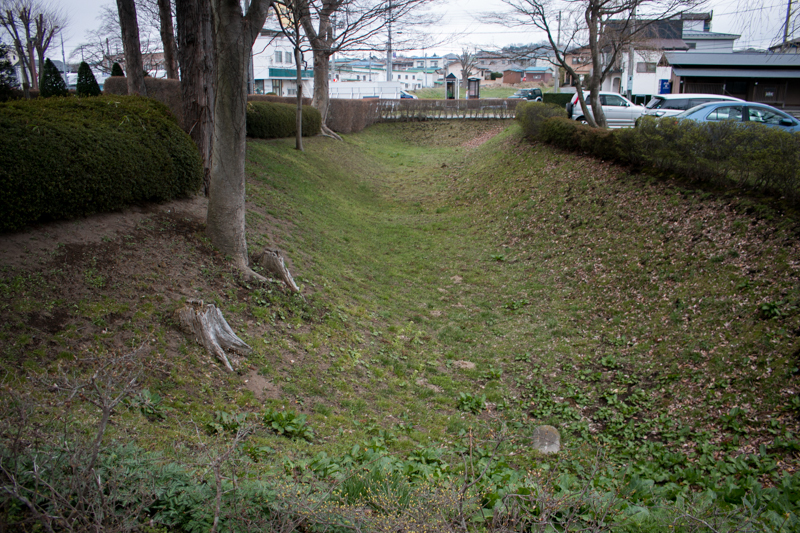 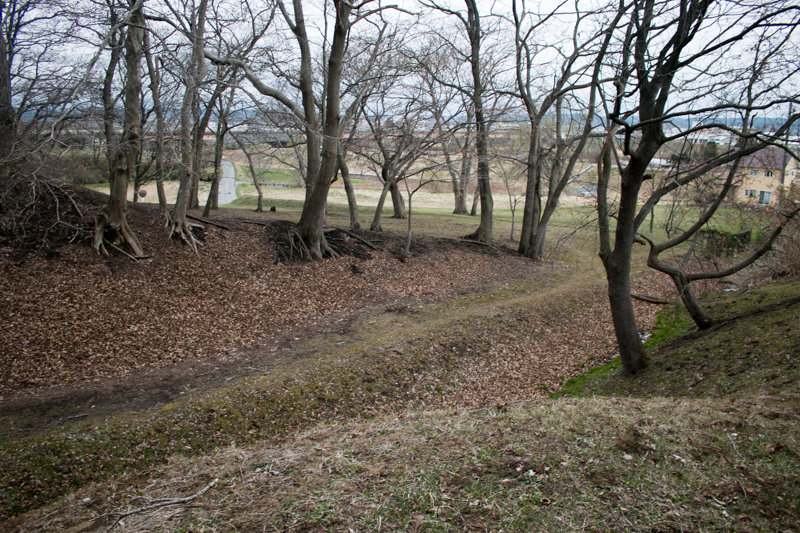 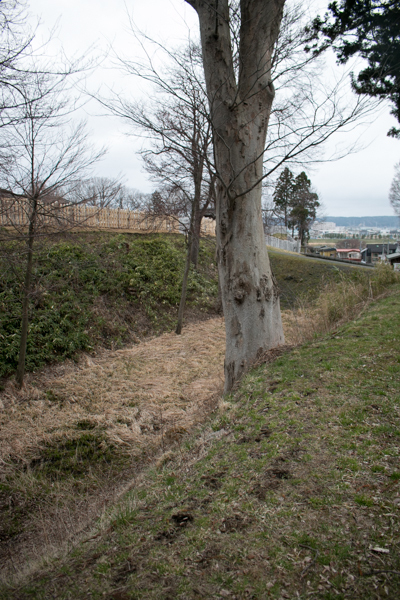 Nejo castle is built utilizing natural levee of Mabuchi-gawa river. The central area is reverse L shaped area of 100 meter long and 50 meter wide, and guarded by over 20 meter wide dry mall. 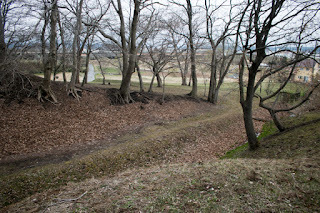 At the east of central area Nakadate area (middle area) and Tozenji Yakata area divided by narrow dry moat spreads toward east, and Okamae Yakata area and Sawasato Yakata area are built at the south east. 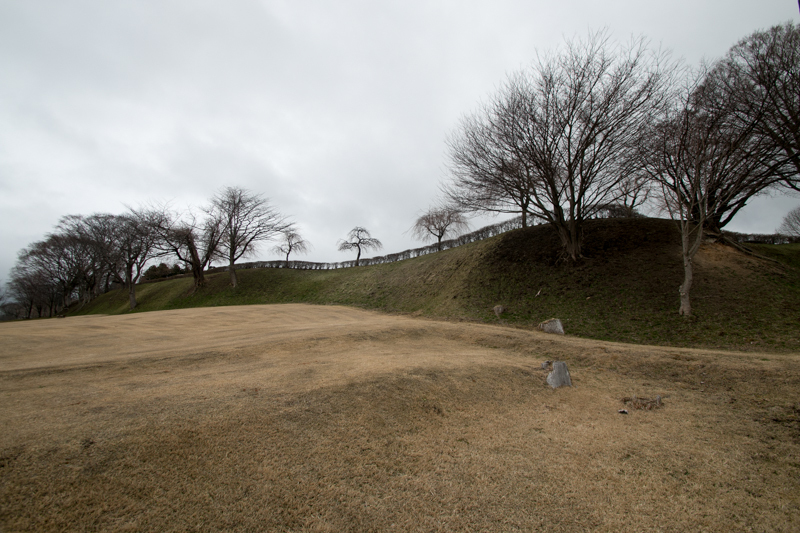 Total size of the castle is about 500 meter long and 300 meter wide, and whole area is surrounded by outer dry mall. 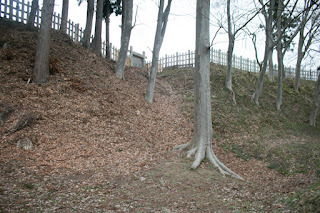 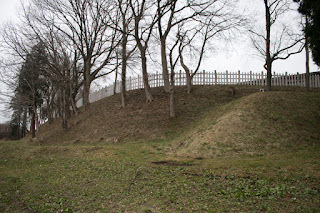 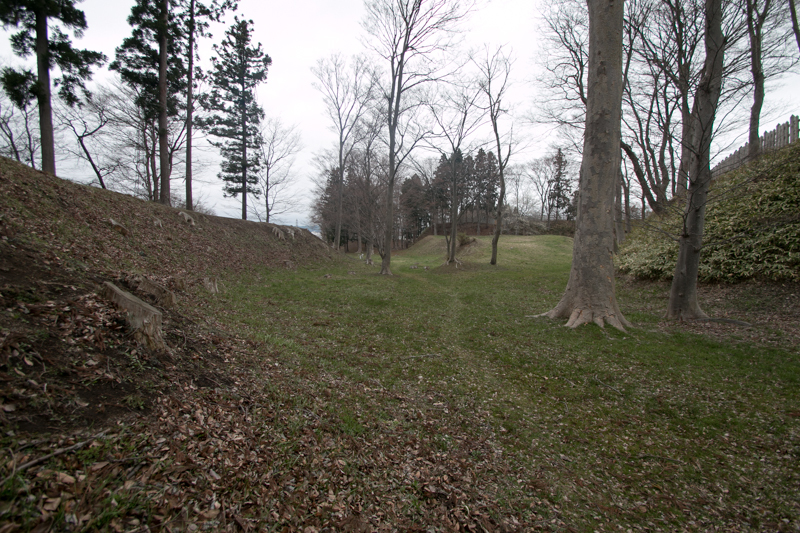 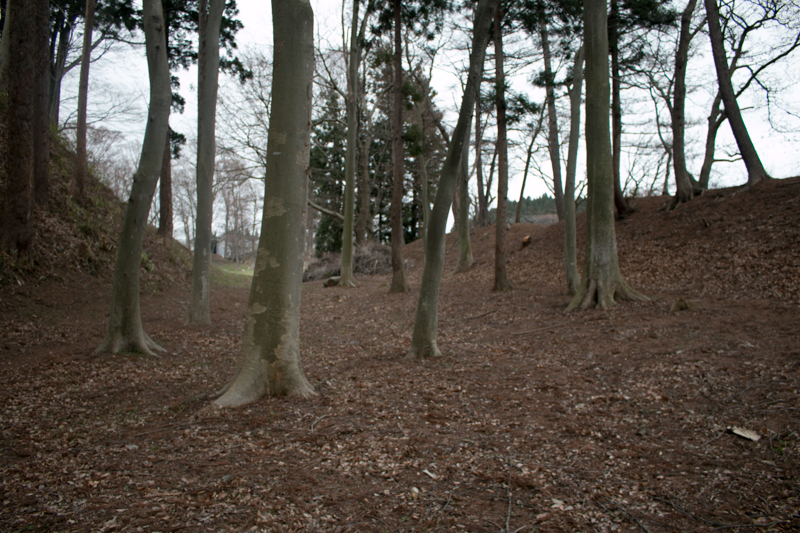 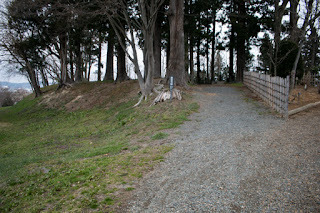 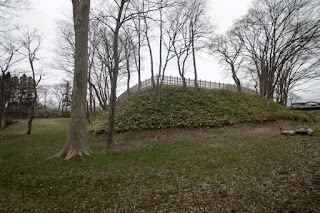 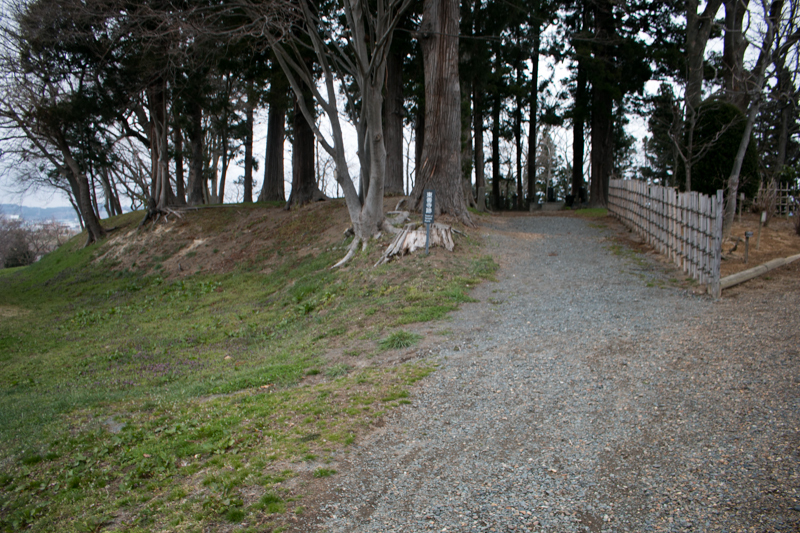 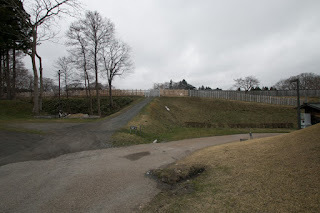 As Nejo castle was not basically involved in the actual battle, the character of the castle is more closer to the residence than the fortress, even though it equips minimum element of the castle such as moats or gates. 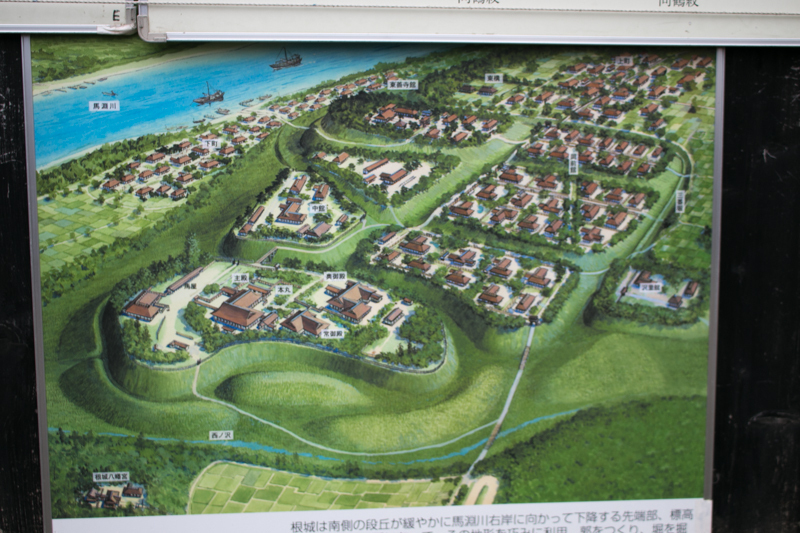 Central area is built for the usage of Nanbu family, and as a result of archaeological prospection, it is filled with three large residential buildings, warehouses, workshops or stables. 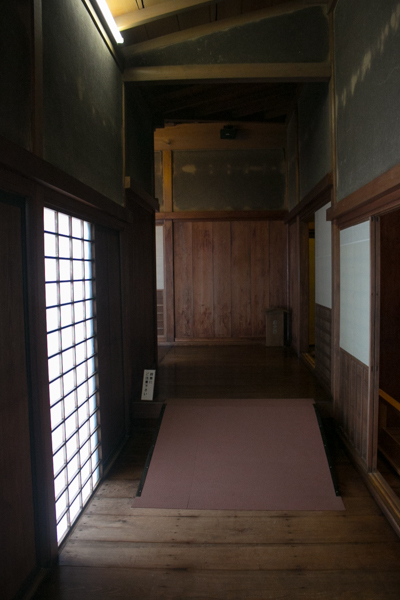 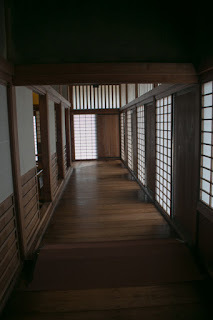 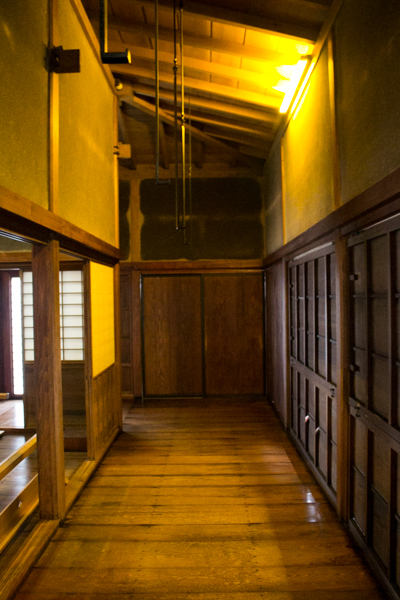 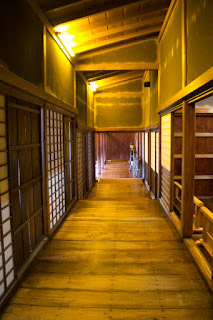 At last residential buildings might be rebuilt into a modern Shoin style, but other building kept semi-basement style which stem from medieval era. 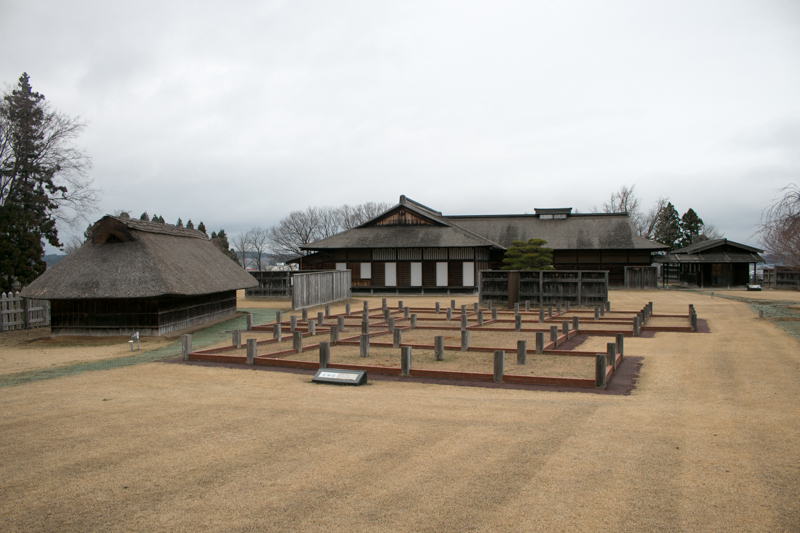 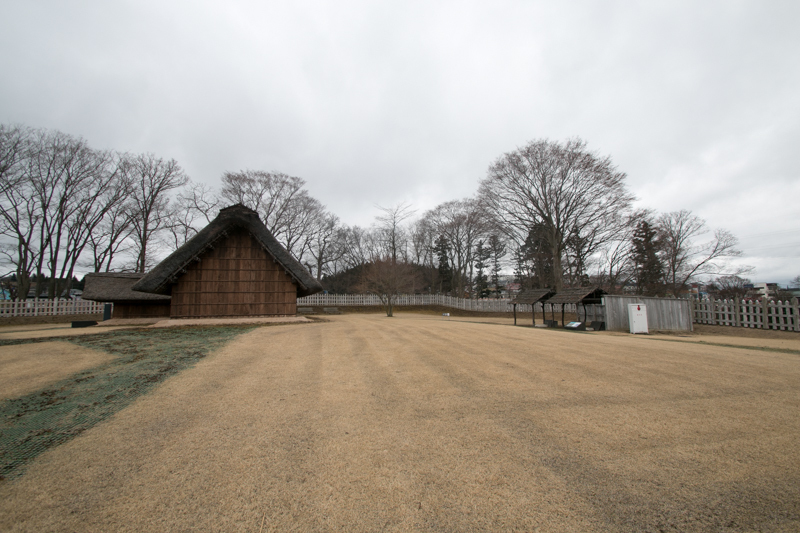 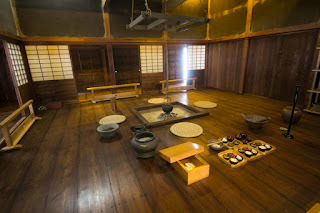 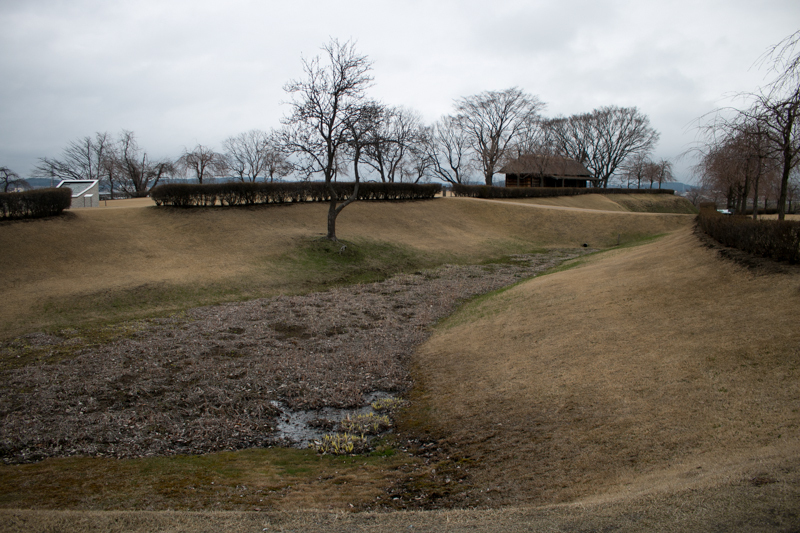 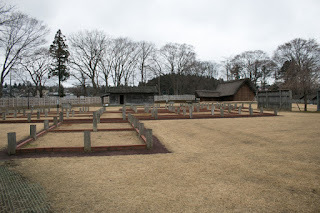 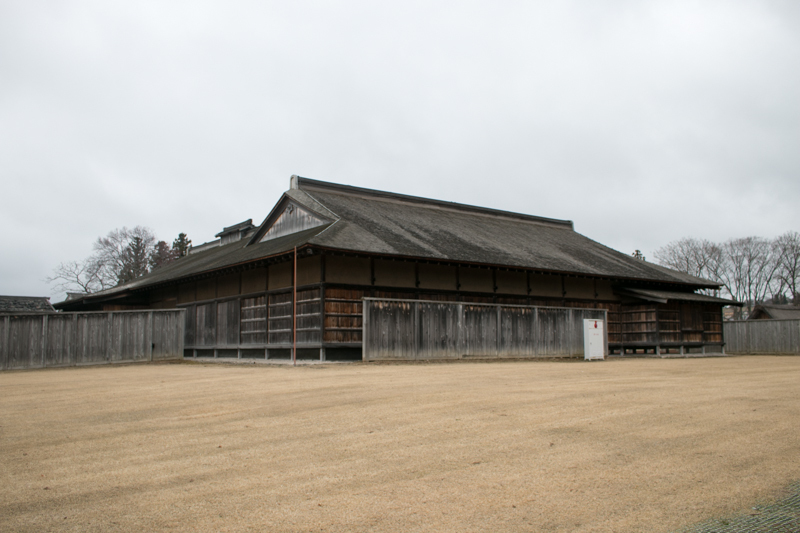 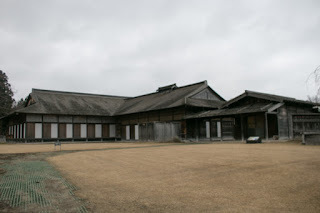 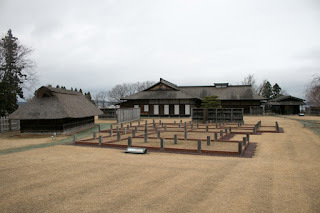 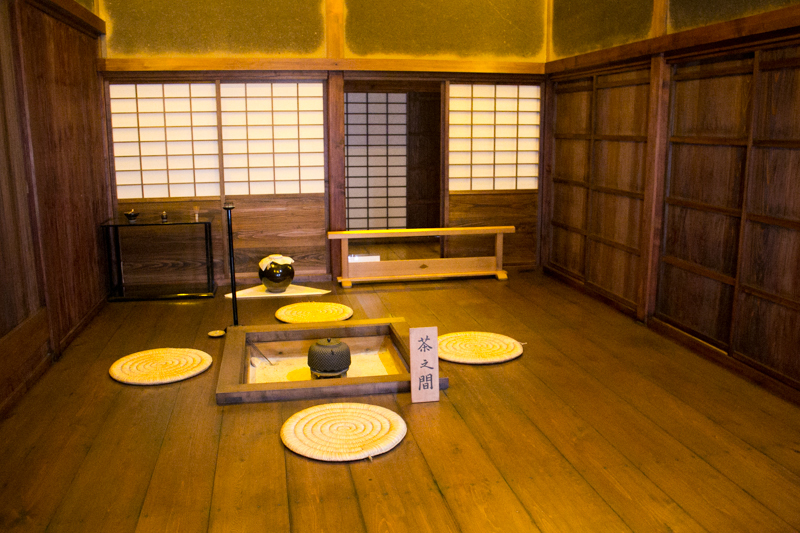 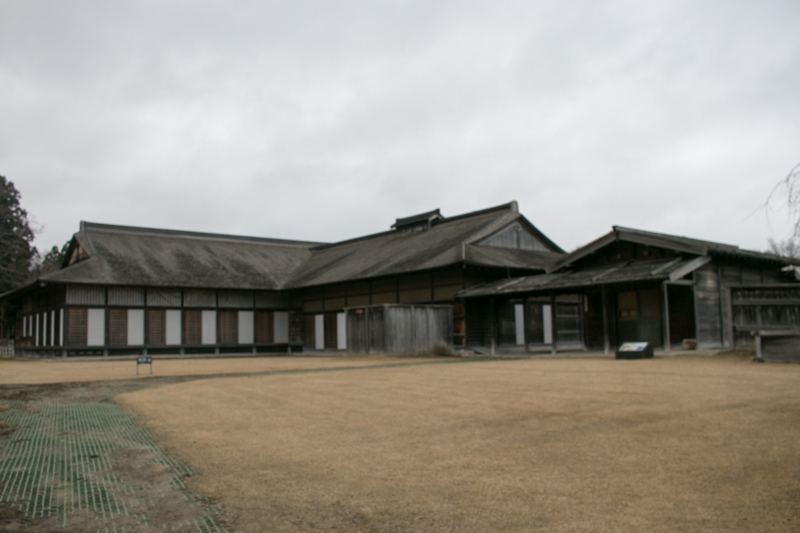 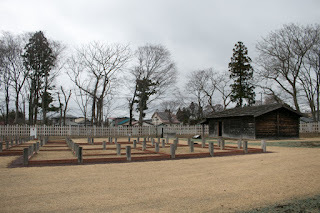 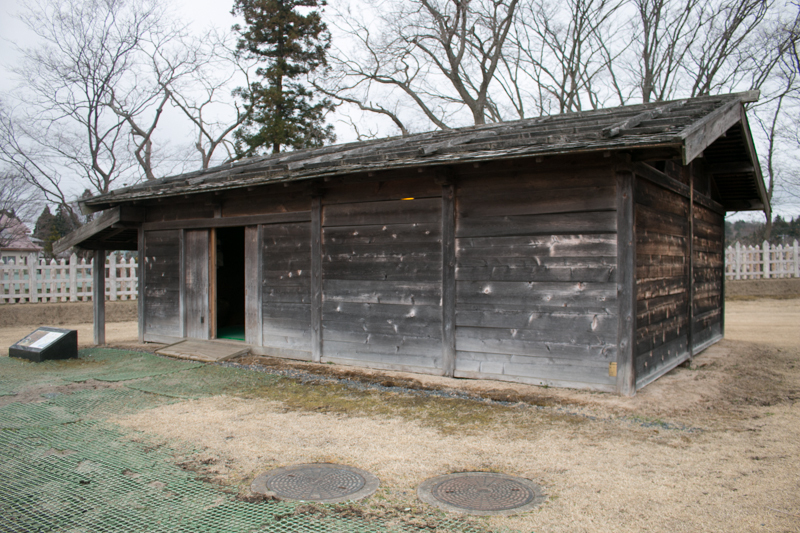 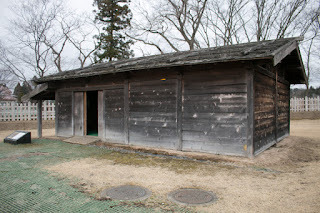 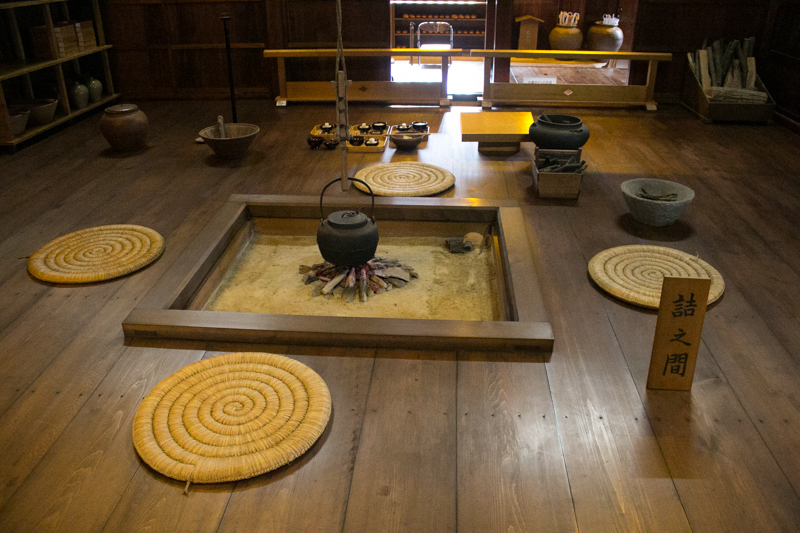 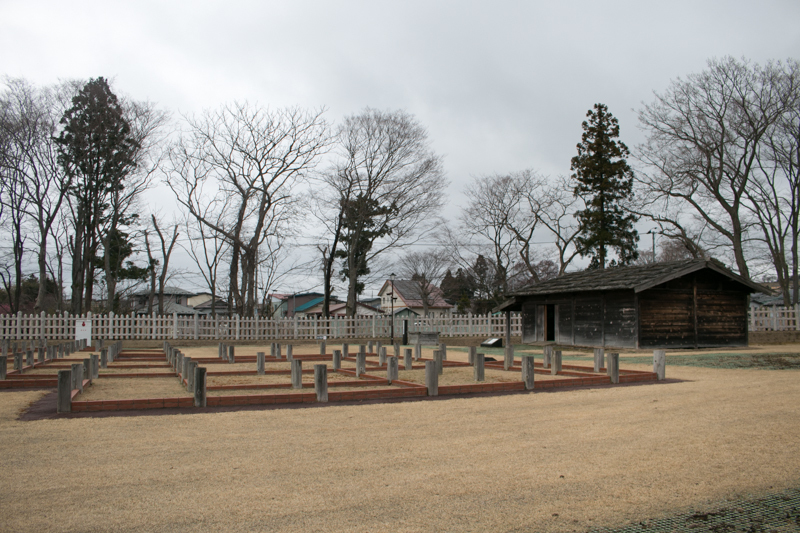 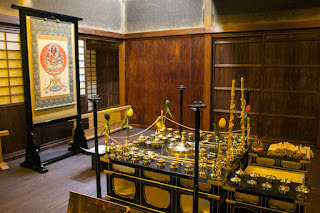 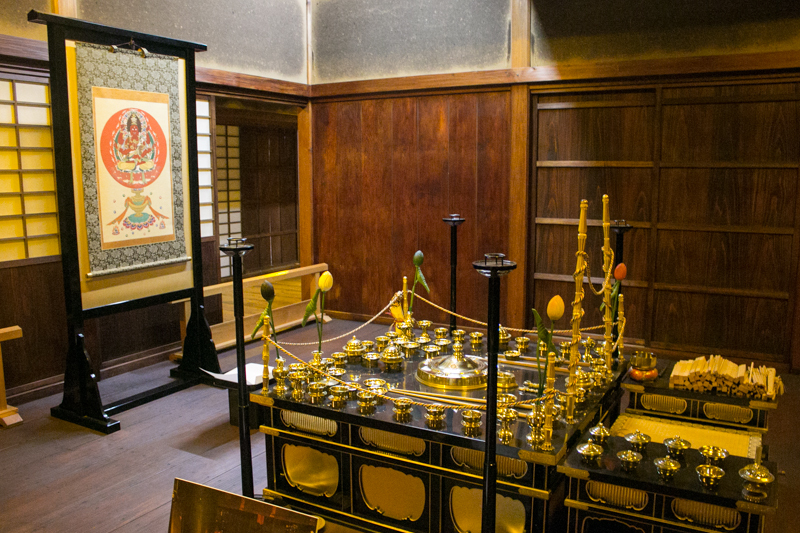 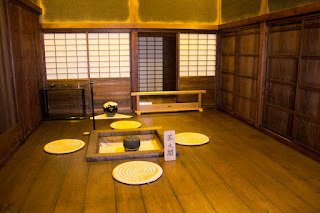 Nakadate area might be used as a residence of branch family, and Tozenji area is used for the place of Tozenji temple, the family temple of Nanbu clan as the name shows. 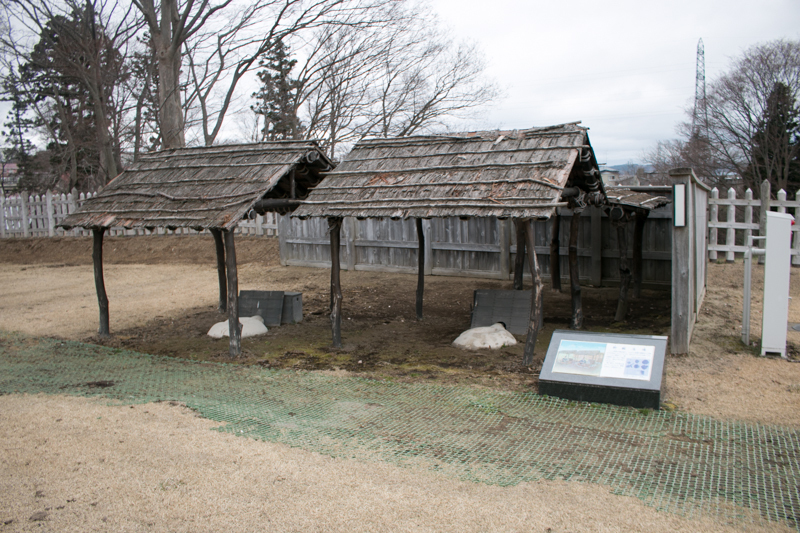 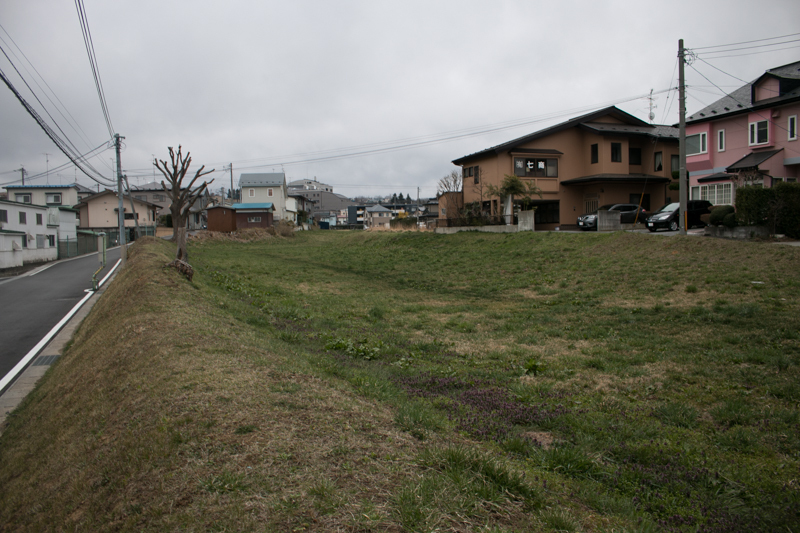 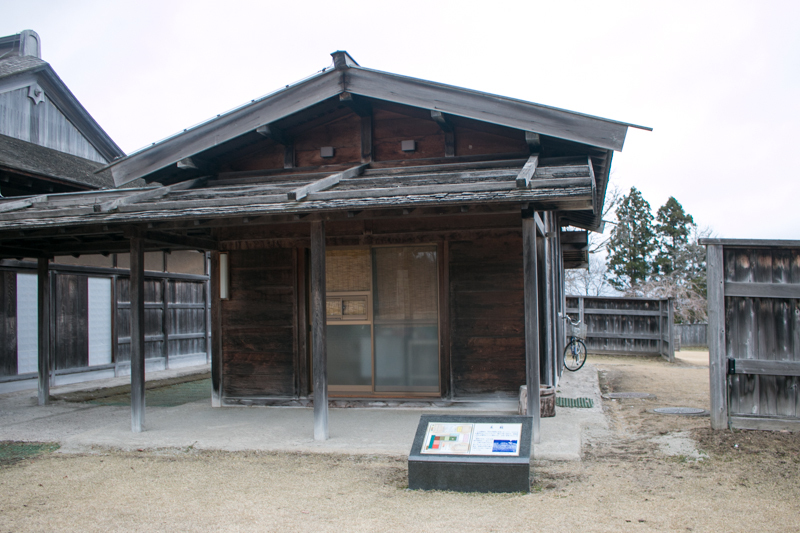 There were houses of retainers at Okamae Yakata area and Sawamoto Yakata area, and castle town spread the outer area of the castle. The structure of the castle which is the complex of several separated heights is the same as neighbor castles at same period such as Namioka castle or Kunohe castle, but the order between the area is more clearer than Namioka castle and this shows the strength of the leader in Nanbu clan. 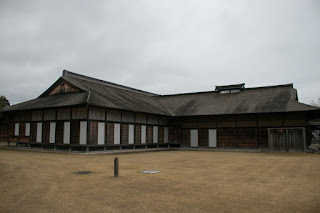 In 1335, Takauji Ashikaga (1305-1358), the leader of distinguished family Ashikaga clan and once supported Emperor Godaigo to beat Kamakura Shogunate, left Emperor's side and established his own government at Kamakura. Next Takauji marched to Kyoto city where Emperor Godaigo stayed. 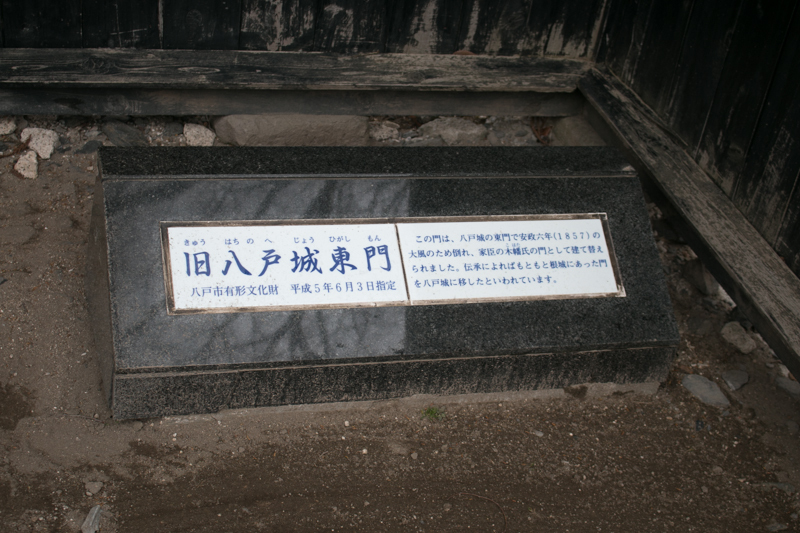 and defeated Yoshisada Nitta (1300-1338), another strong Samirai leader sent by Godaido for subjugation. Takauji built his won Muromachi Shogunate, and seeing the crisis of Emperor Godaigo, Akiie made long excursion to Kyoto from Tagajyo castle. 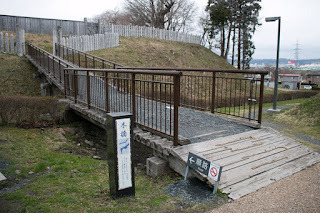 Moroyuki stayed Tagajyo castle to guard their main base, and kept it until the return of Akiie who once seized Kyoto city and expelled Takauji to Kyushu island. 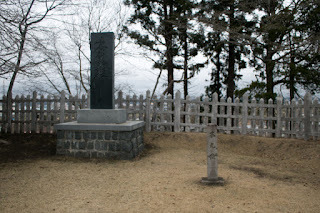 But next year Takauji who recovered his power at Kyushu island returned to Kyoto and beat general of Godaigo side such as Masasige Kusunoki (1294-1336). Emperor Godaigo left Kyoto city and ran into Yoshino area (Nara prefecture), and built government in exile. Facing this fact, in 1337, Akiie again marched toward Kyoto, and this time Moroyuki accompanied this. They once beat Ashikaga side army and entered into Kyoto city, but next year finally was defeated by Ashikaga army and died in the battle. 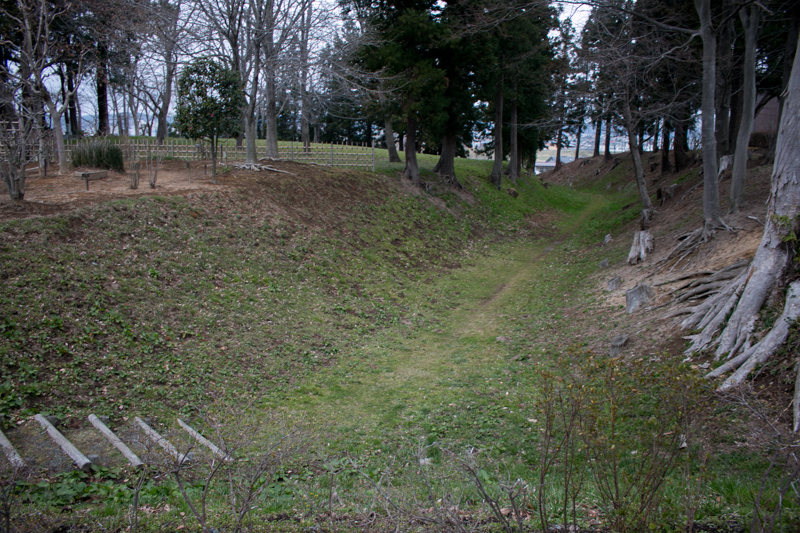 After that Hachinohe Nanbu clan still supported Godaigo side and fought with Ashikaga side lords, but the situation became worse and worse. 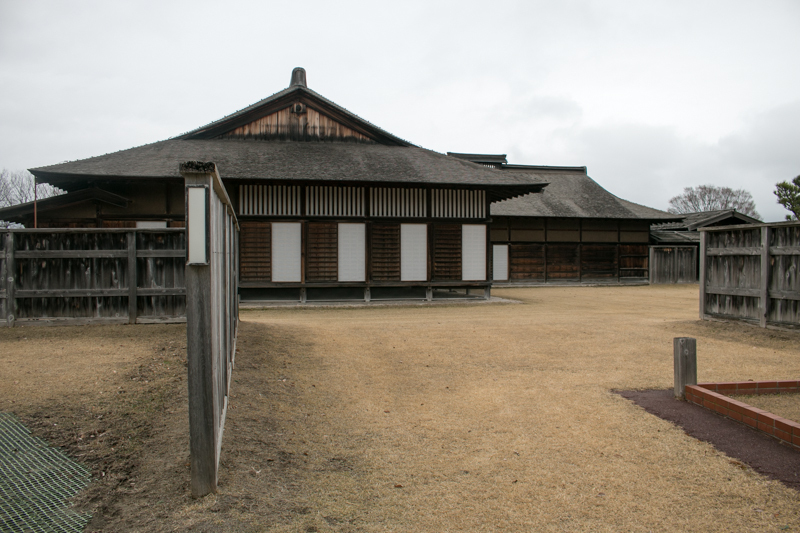 On the other hand, Sannohe Nanbu clan who stayed at Kai province became to be the side of Muromachi Shogunate at the middle of 14th century. 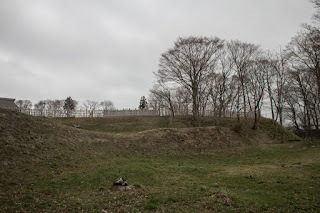 At the end of 14th century, under the coordination of Moriyuki Nanbu (1359-1437), Nejo Nanbu clan subordinated to Muromachi Shogunate, and also the leader of Nanbu clan changed to the line of Sannohe Nanbu clan which later built Sannohe castle or Morioka castle. 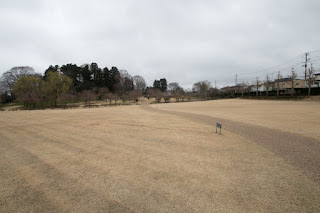 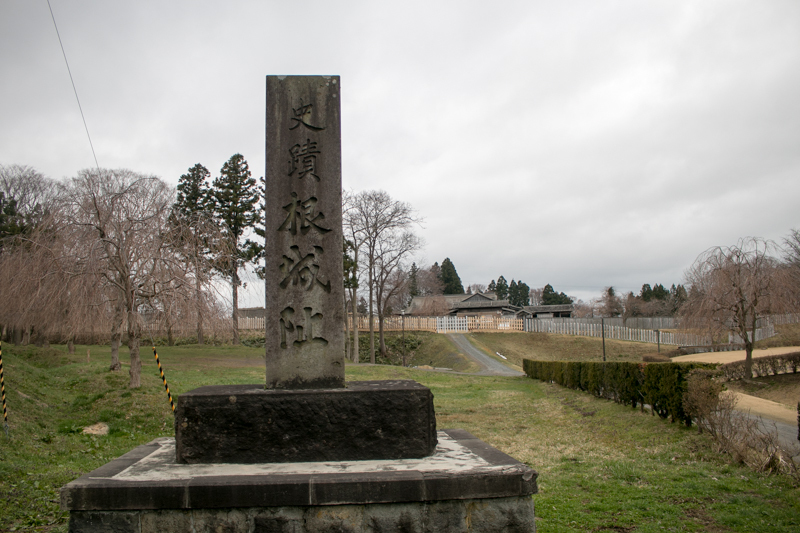 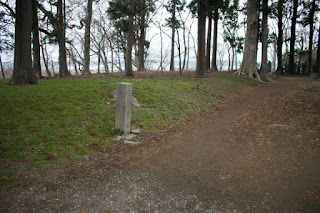 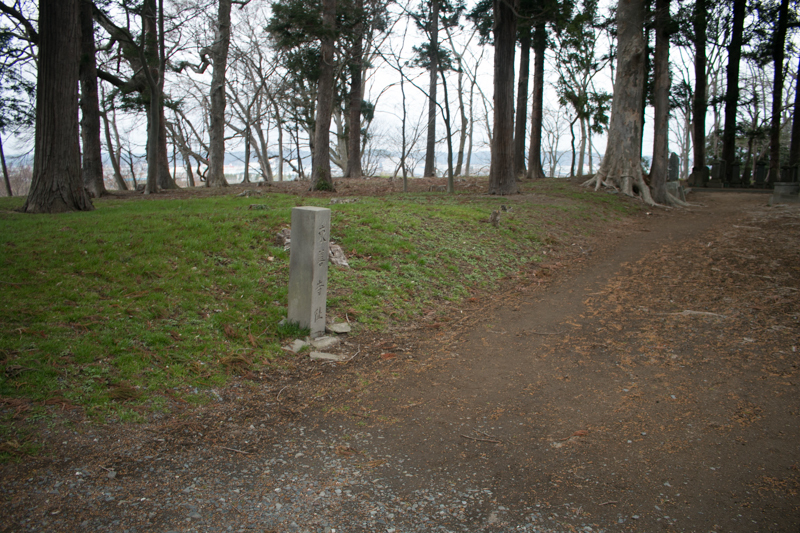 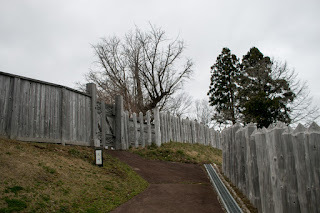 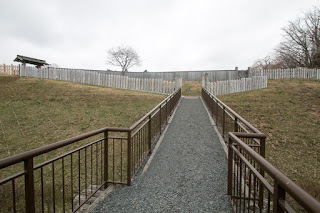 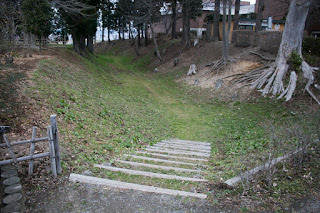 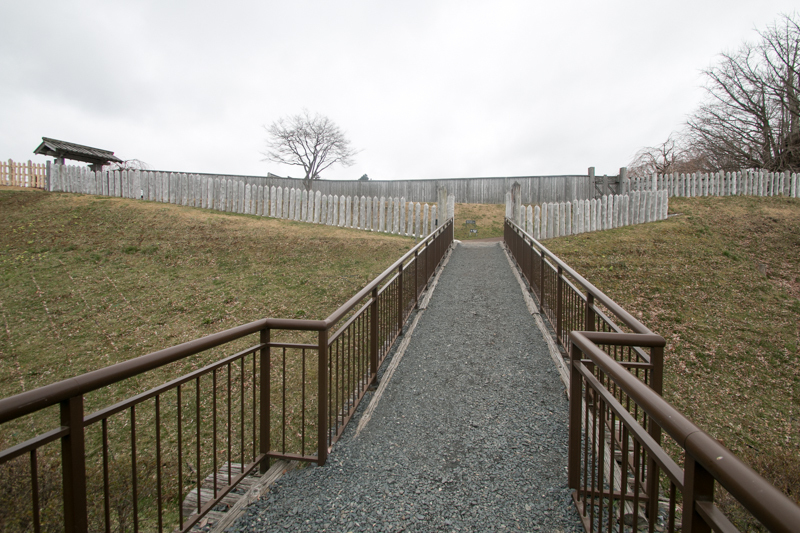 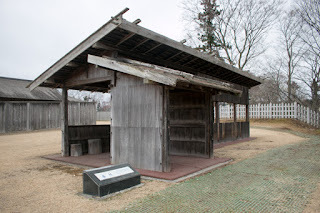 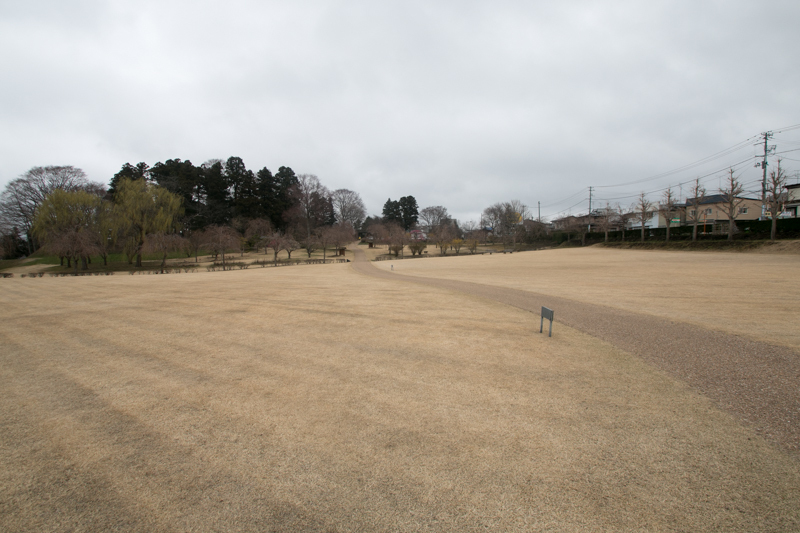 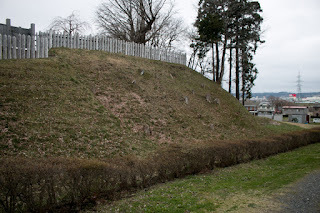 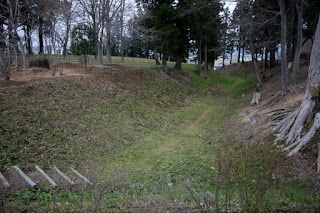 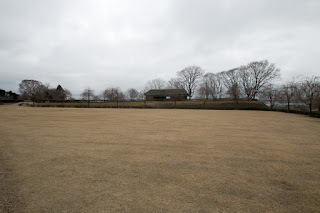 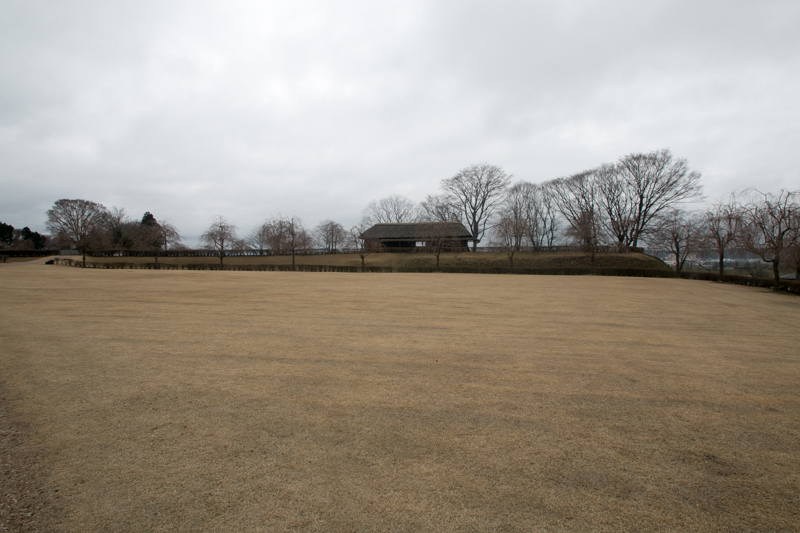 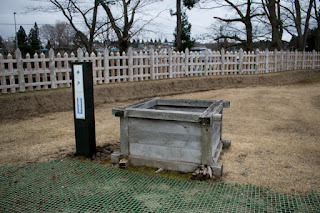 Hachinohe area was apart from battle front and Nejo Nanbu clan was respected as a original leader, thus Nejo castle was not involved into the battle and kept peace. 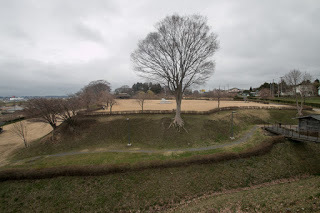 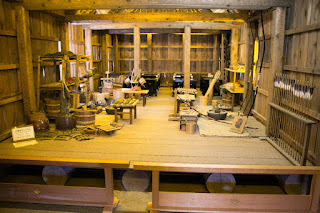 Nejo Nanbu clan continued as an important retainer of Nanbu clan, but in 1627 Nejyo Nanbu clan was transferred to Tono area, where is the south part of Iwate prefecture known as a village of traditional tales and faces Date domain. 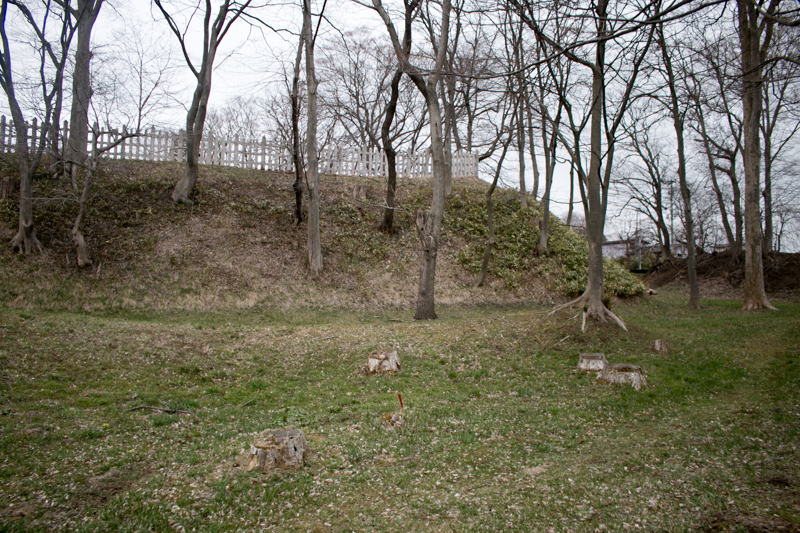 Nejo castle was abolished at that time and ended its history over 300 years. 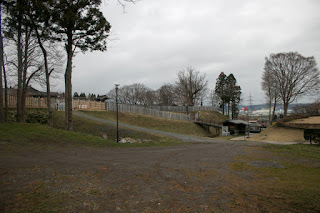 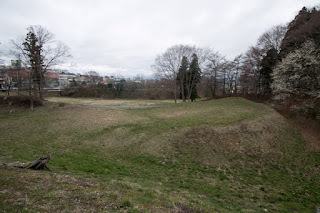 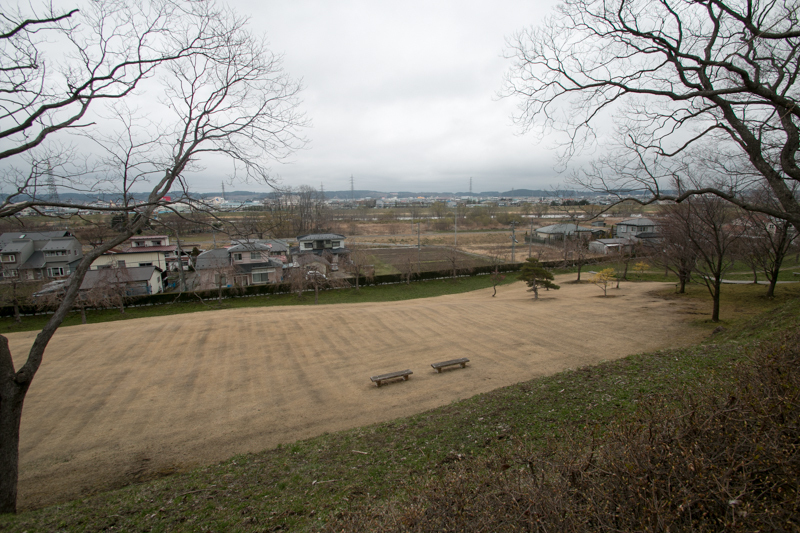 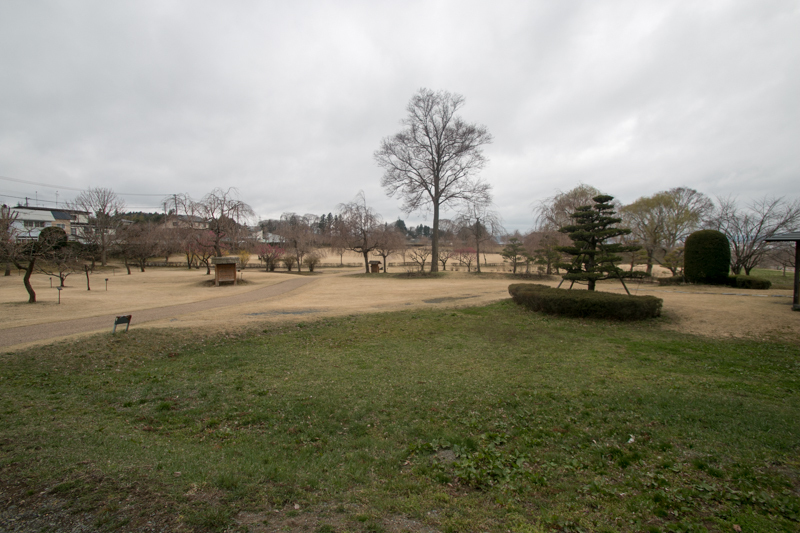 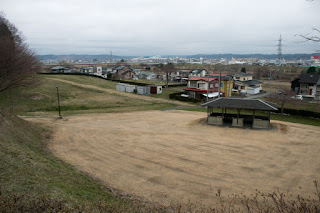 Later Hachinohe domain, a branch domain of Nanbu domain, was established, but they did not use Nejo castle and newly built Hachinohe castle in the center of the city. 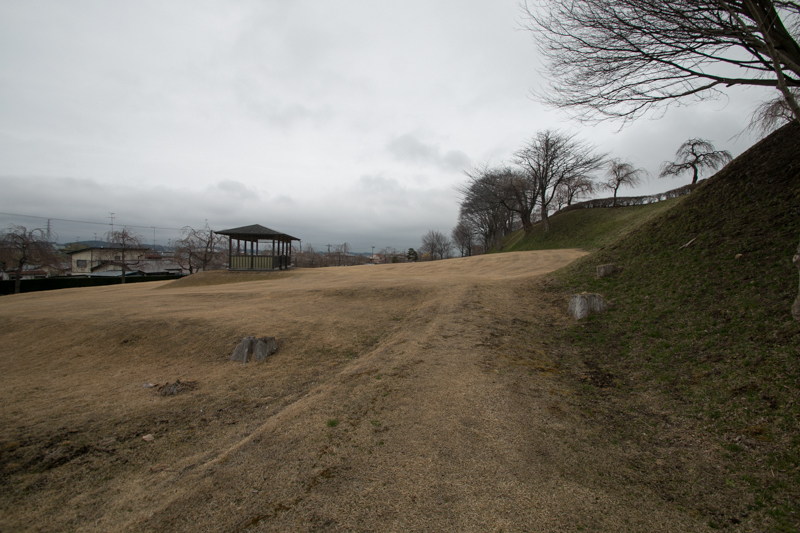 As Nejo castle was not reformed into a modern castle and respected as a original place of Nanbu clan, it well keeps ruin of medieval era. 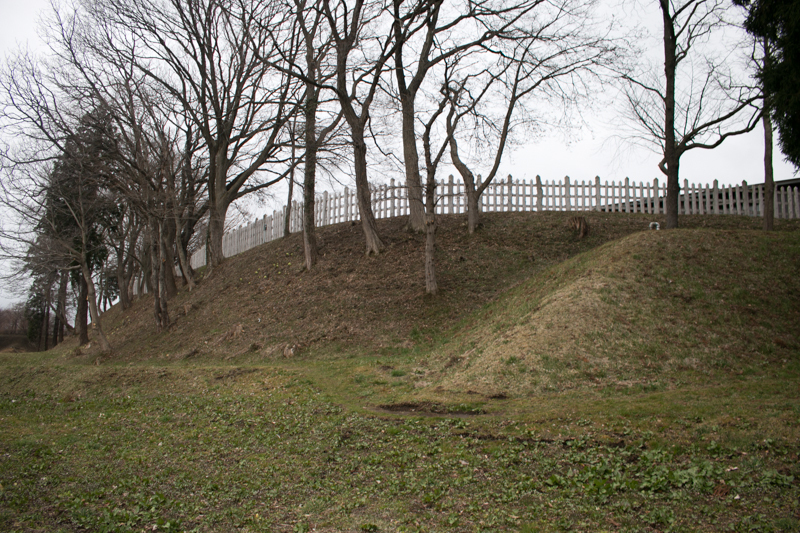 Core area of the castle becomes a historical park, and after 11 years investigation buildings of medieval area were rebuilt. 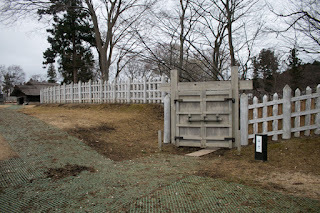 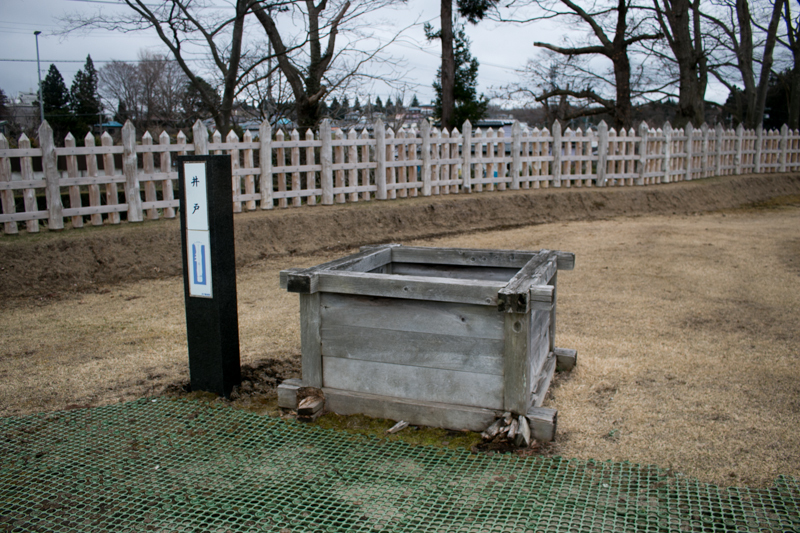 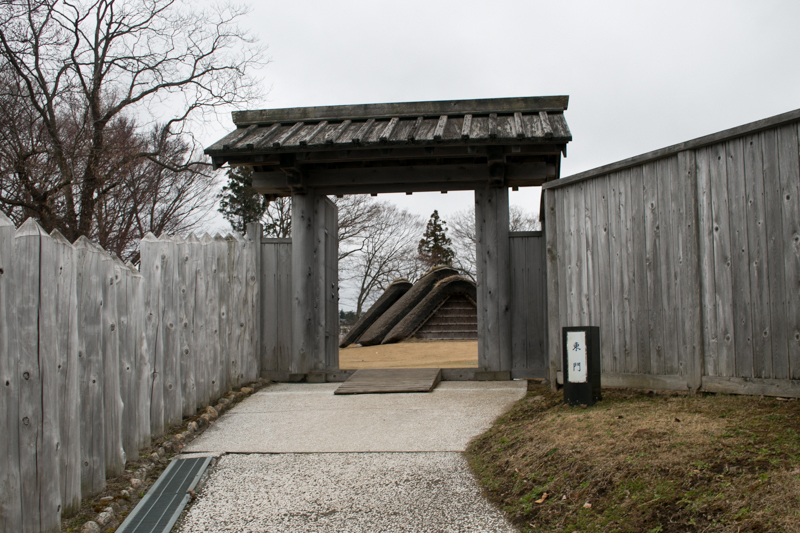 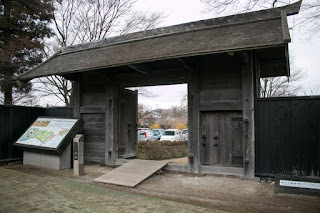 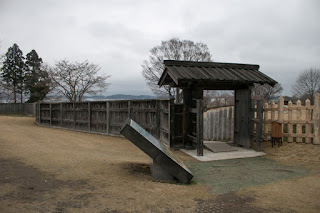 In addition to this, gate of Hachinohe castle which is said to be moved from Nejo castle was transferred to Nejo castle again. Other than Namioka castle or Kunohe castle which had the gruesome history, Nejo castle is a happy castle which ended its role peacefully, and visitors can feel the eternity of the time. 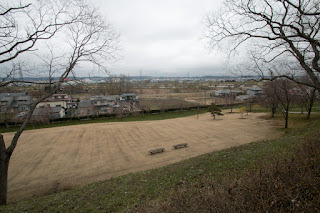 Bus or taxi from JR East Tohoku-Shinkansen line Hachinohe station. 10 minutes drive from Hachinone Jidoshado Expressway Hachinohe interchange.